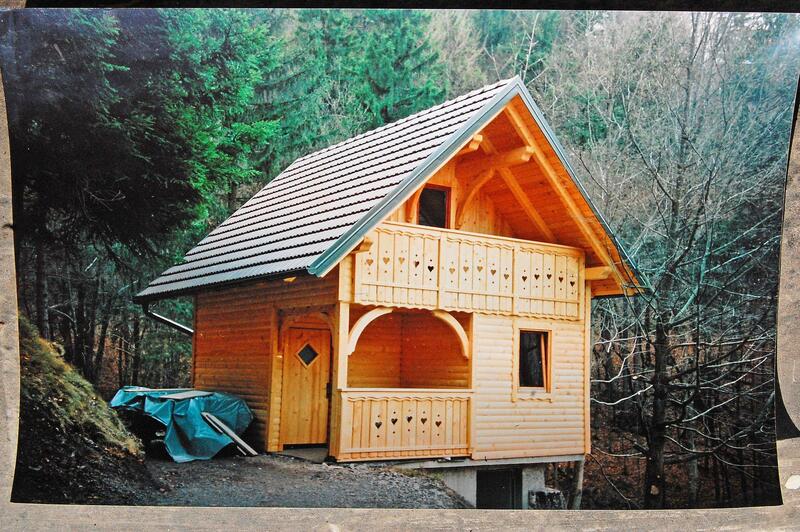 Ours is a medium-sized wood processing company. 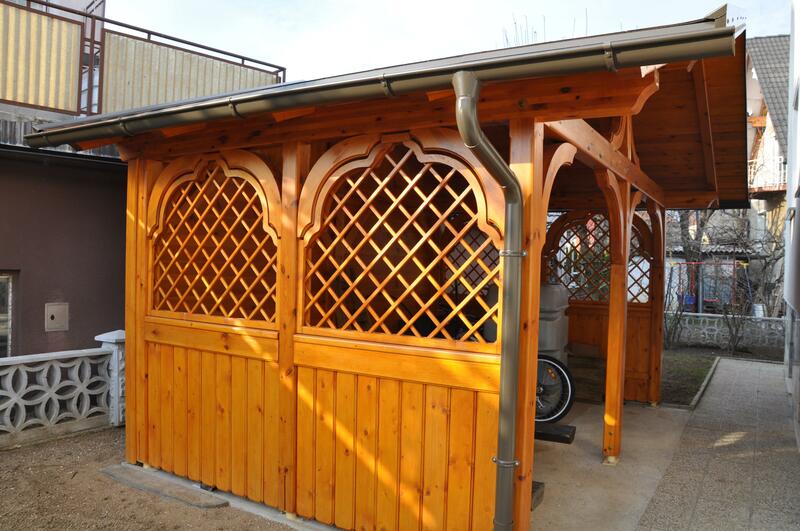 Our production facility contains a modern CNC machine that enables us to cut out and shape various cuttings and shapes out of wood. 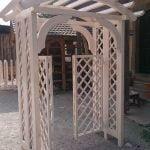 We also offer other products and services. 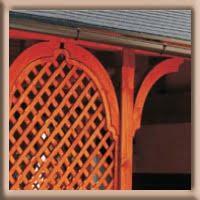 All of our products are the fruit of our own knowledge and experience. 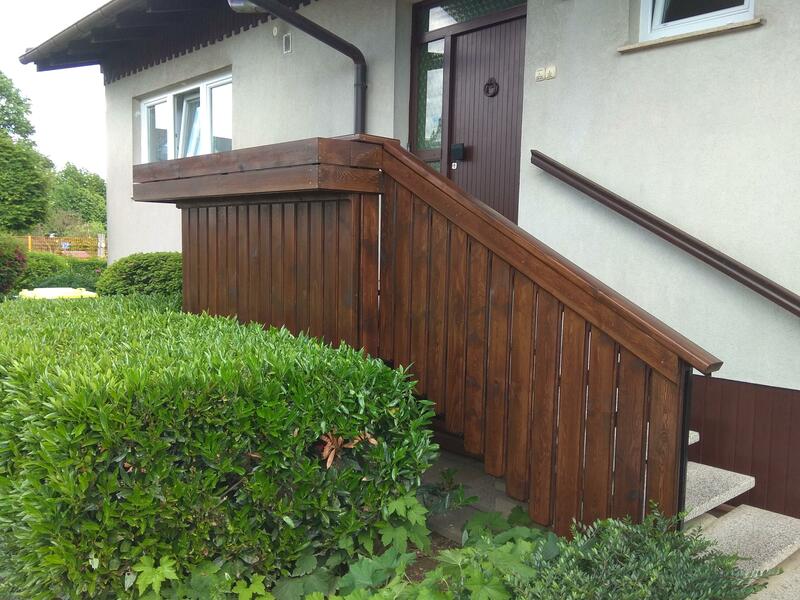 Due to specific work processes, some of our elements are standardised; however, the end product can always be adapted to the needs and wishes of the client. 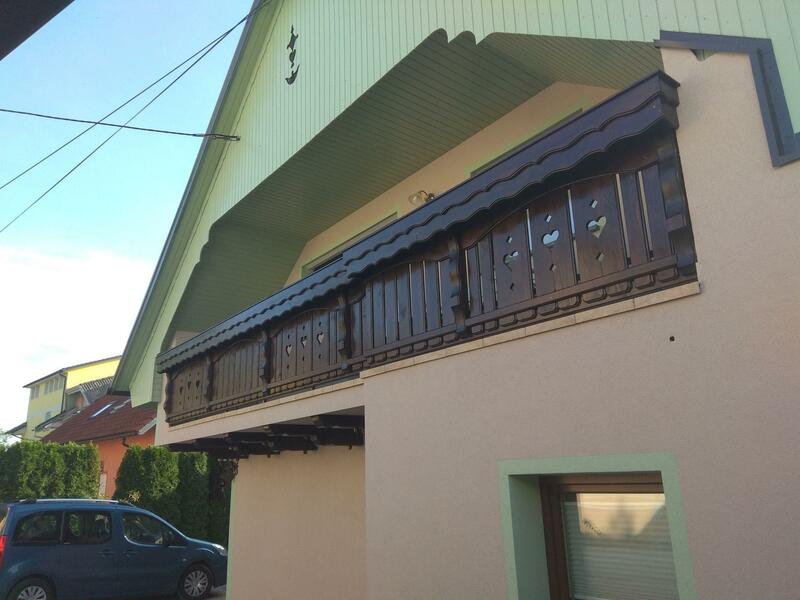 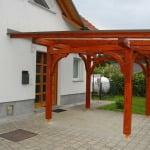 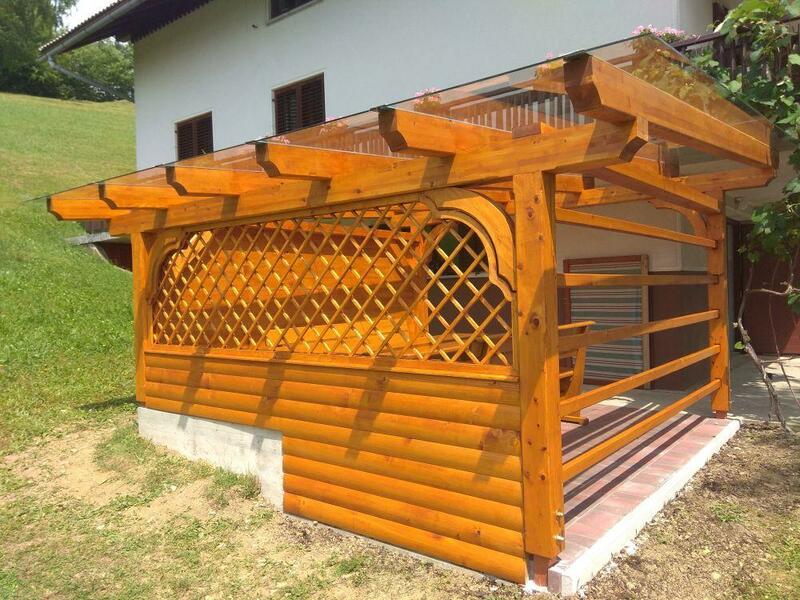 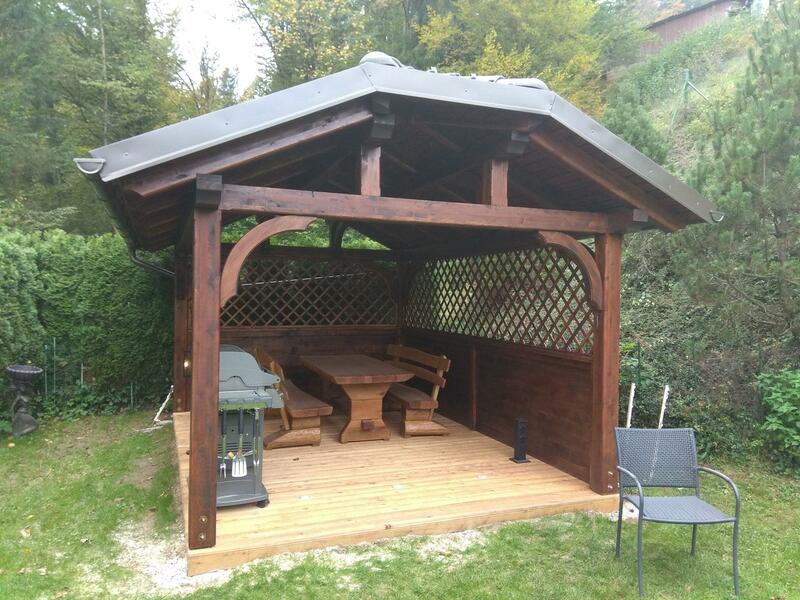 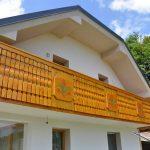 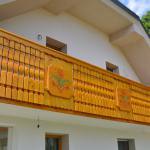 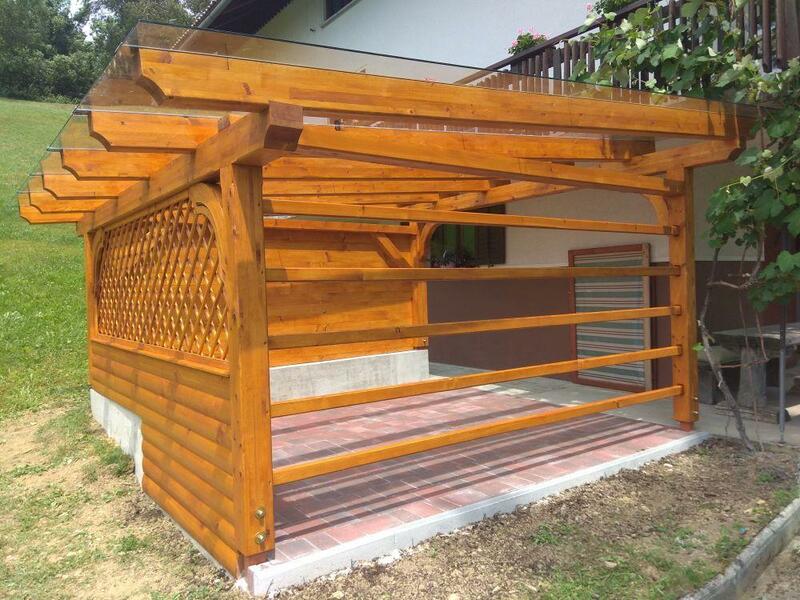 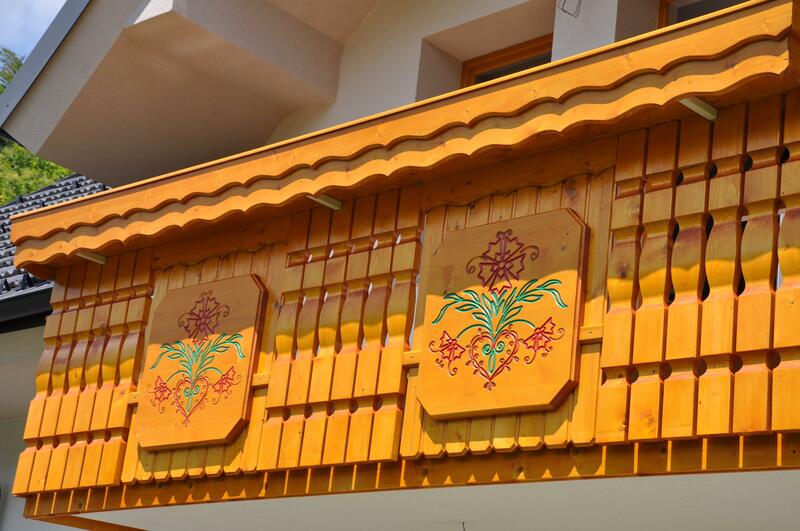 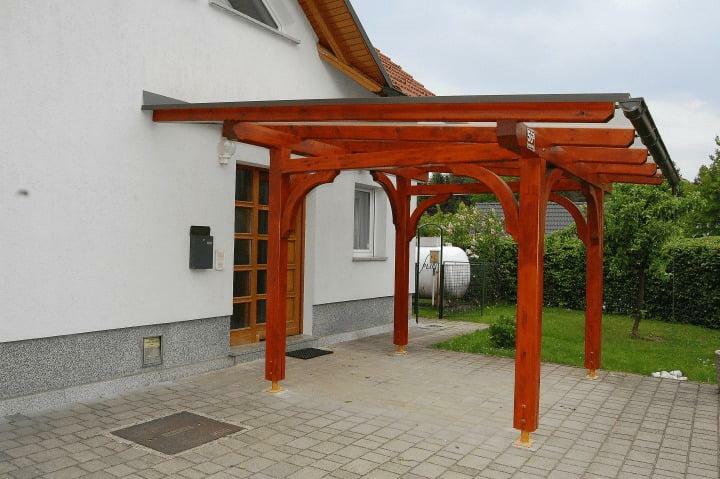 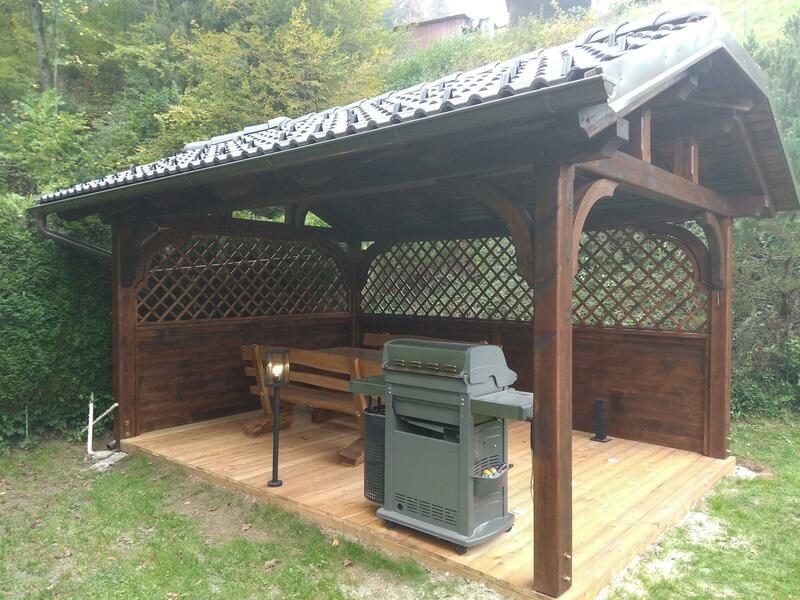 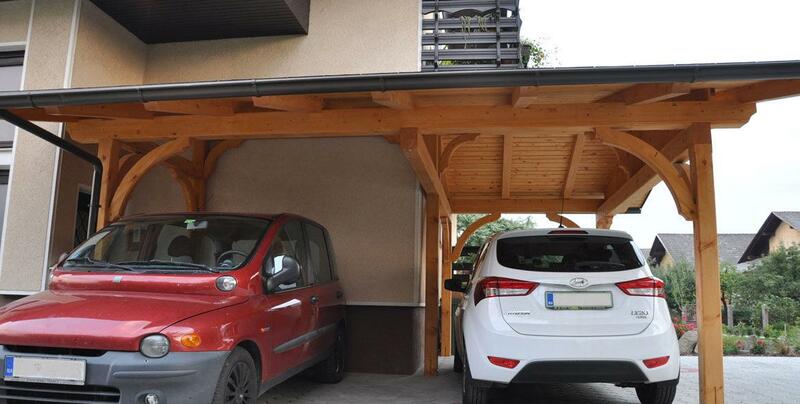 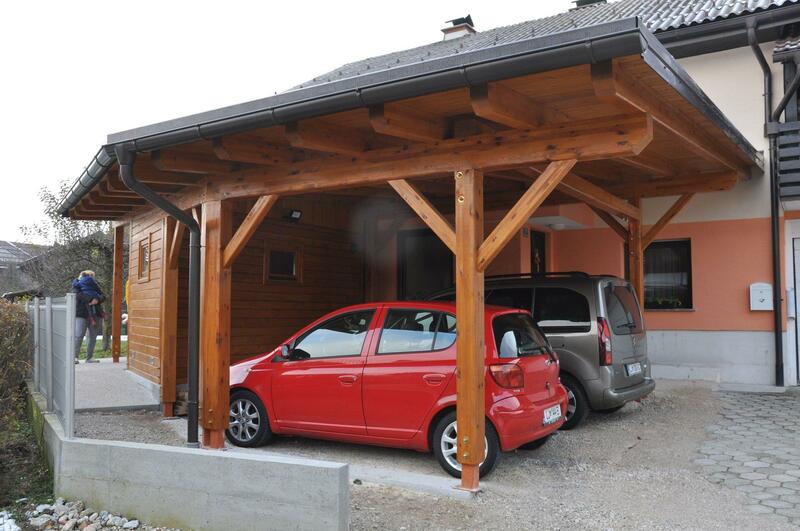 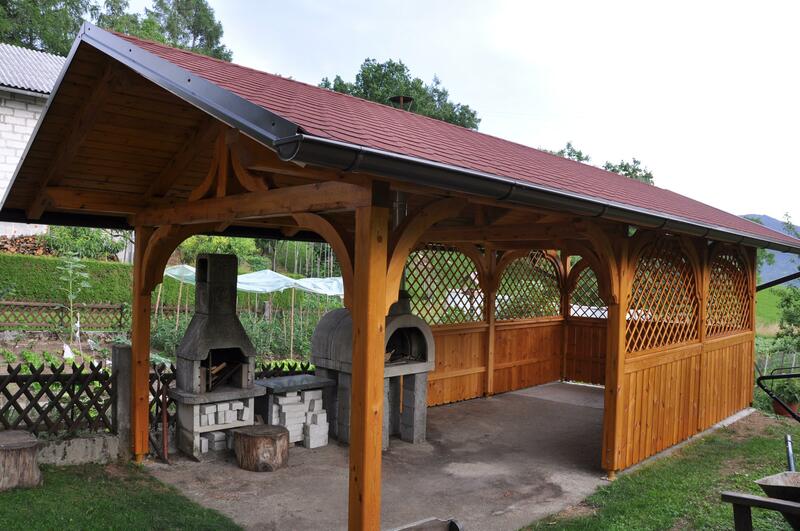 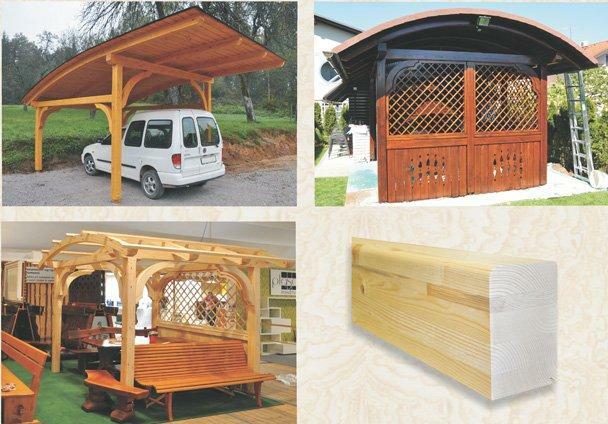 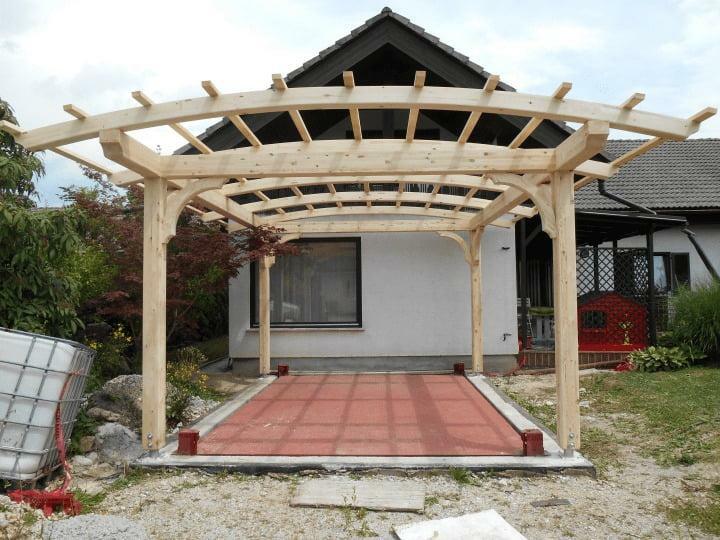 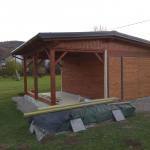 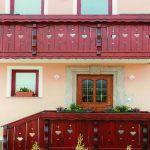 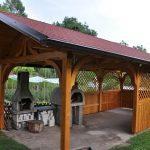 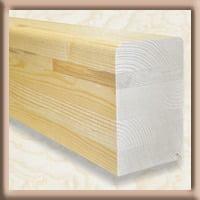 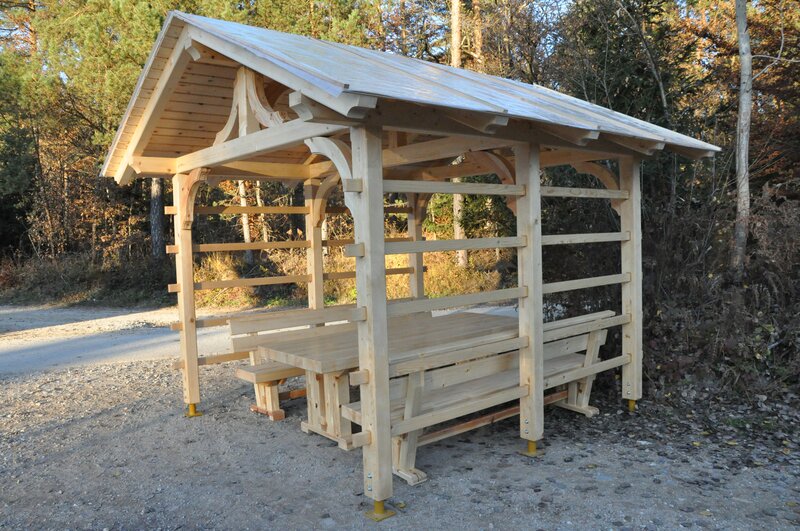 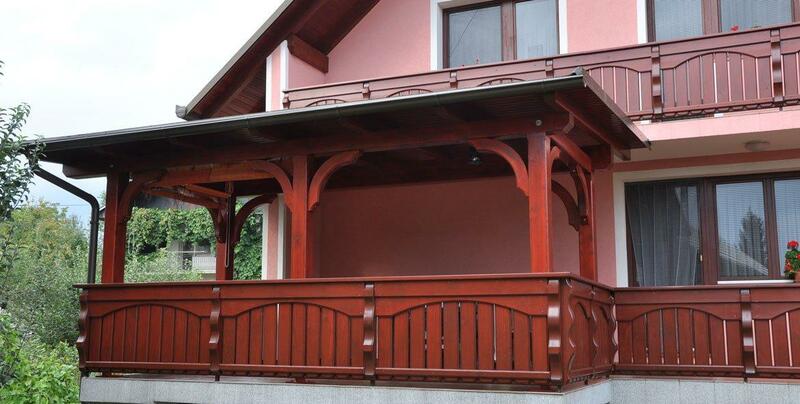 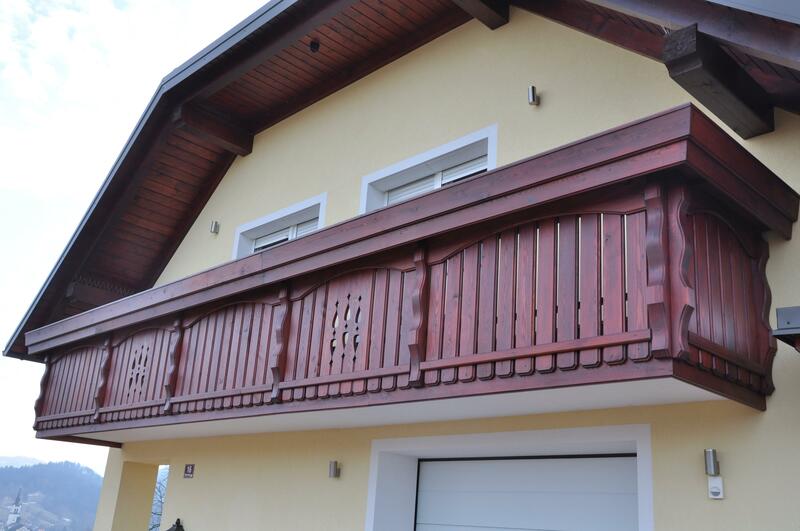 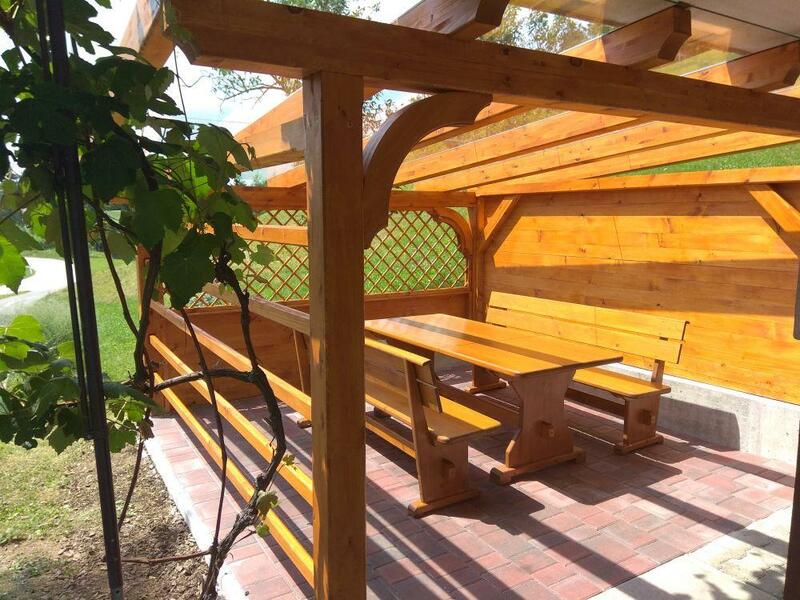 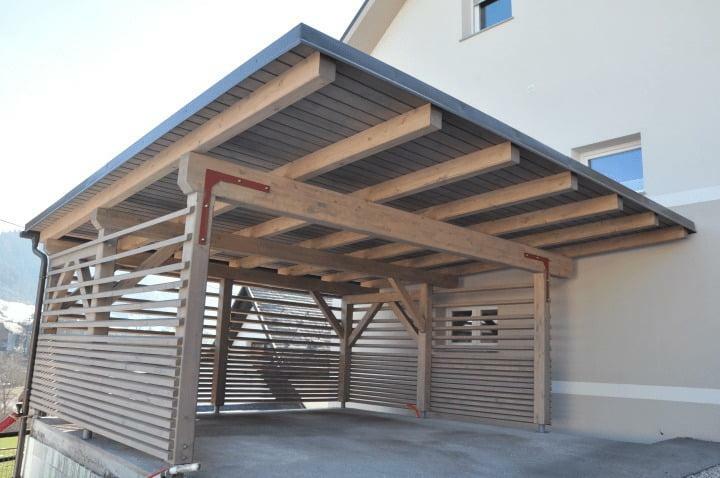 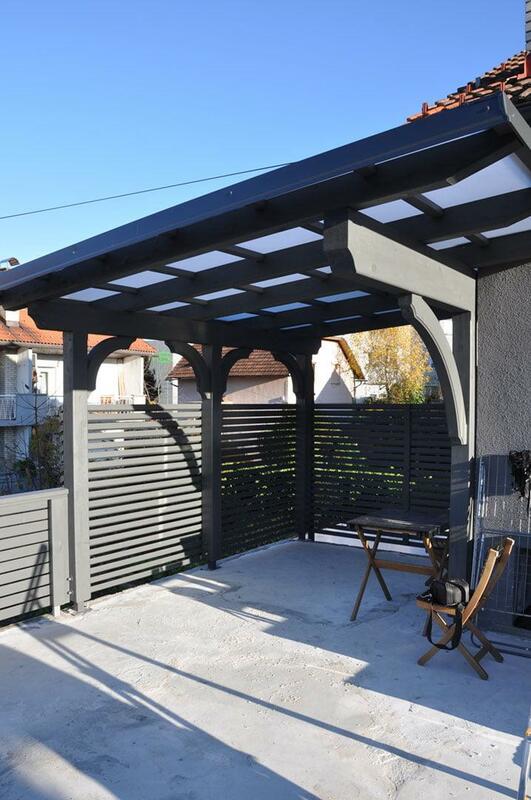 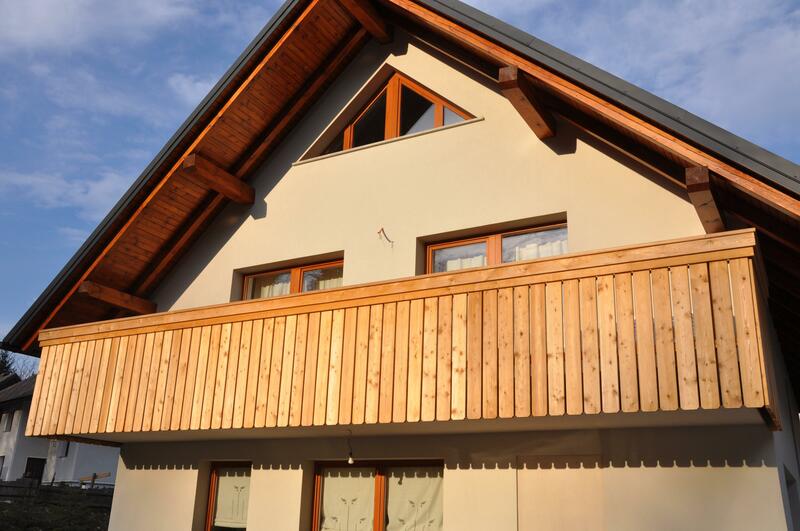 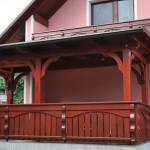 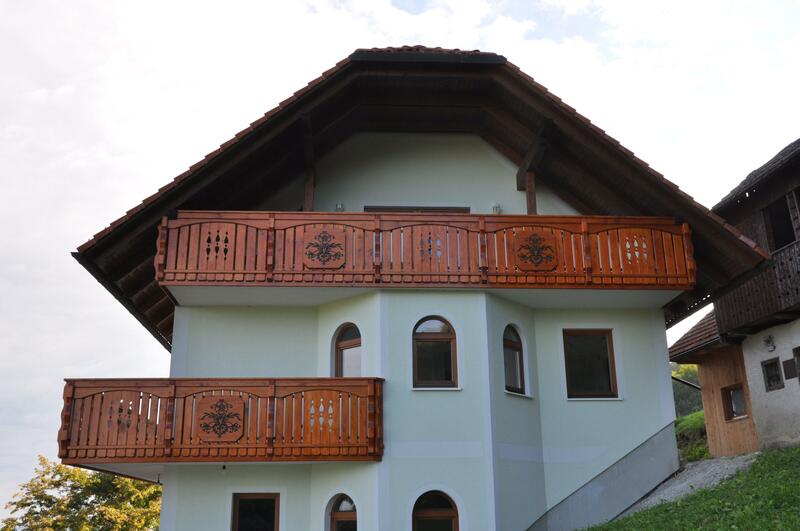 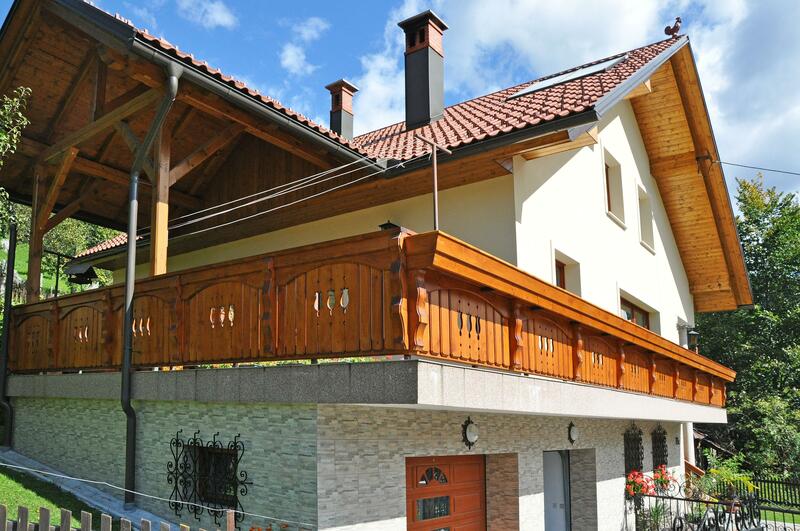 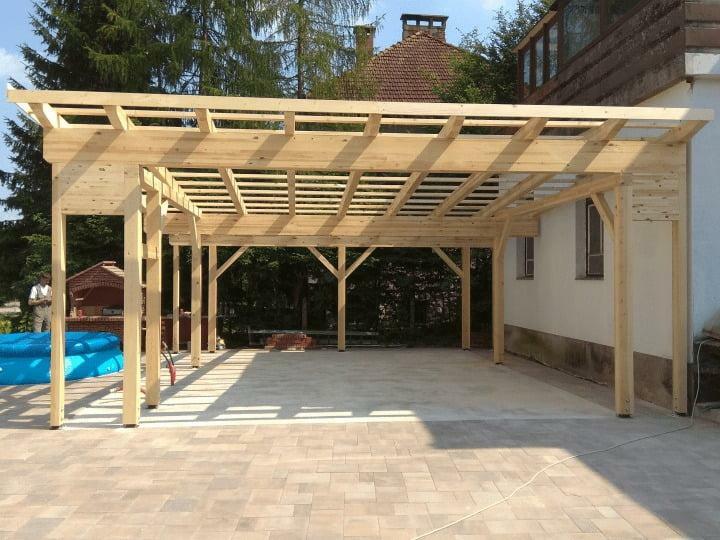 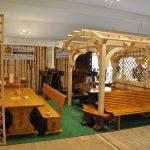 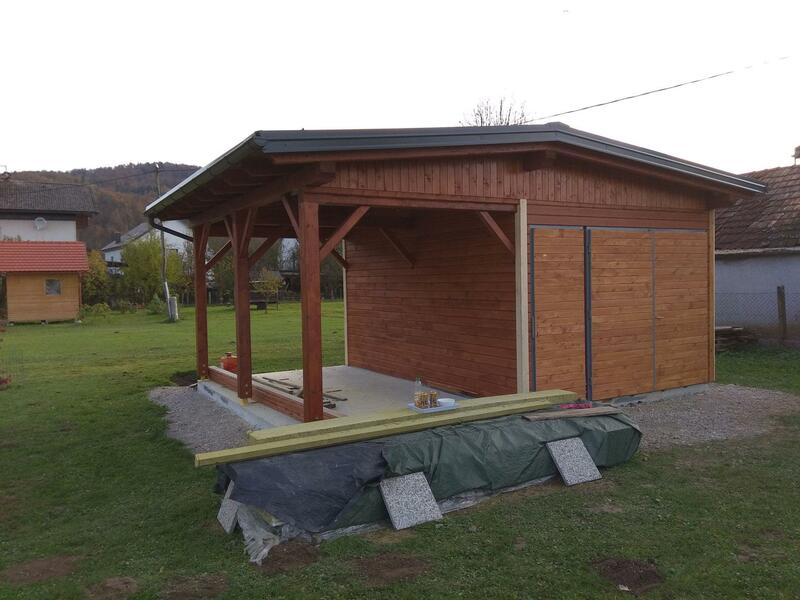 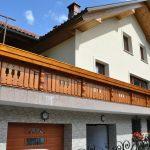 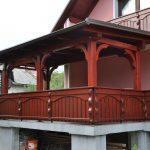 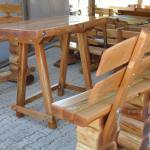 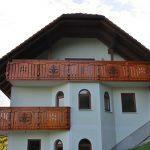 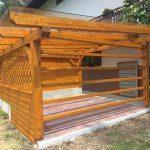 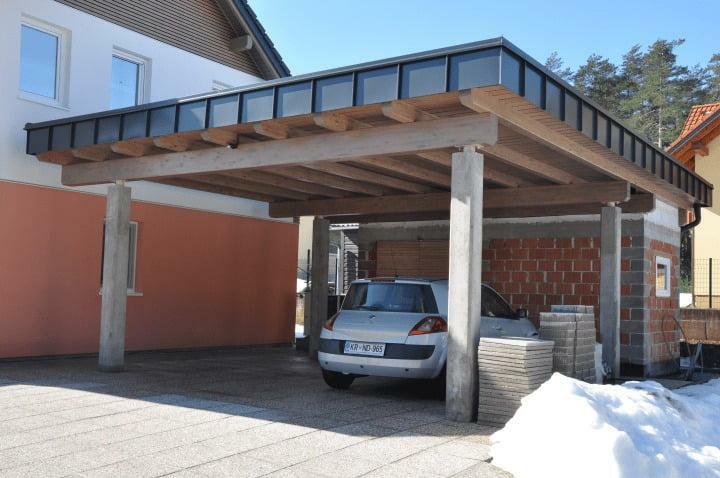 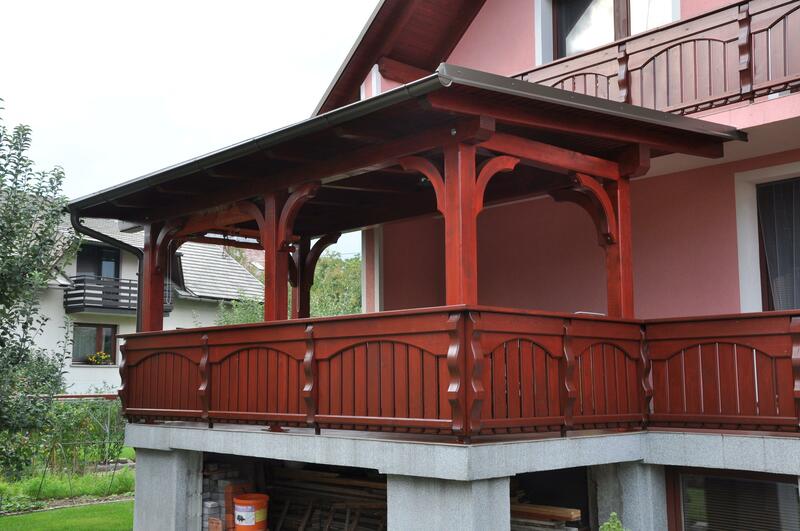 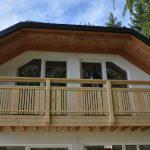 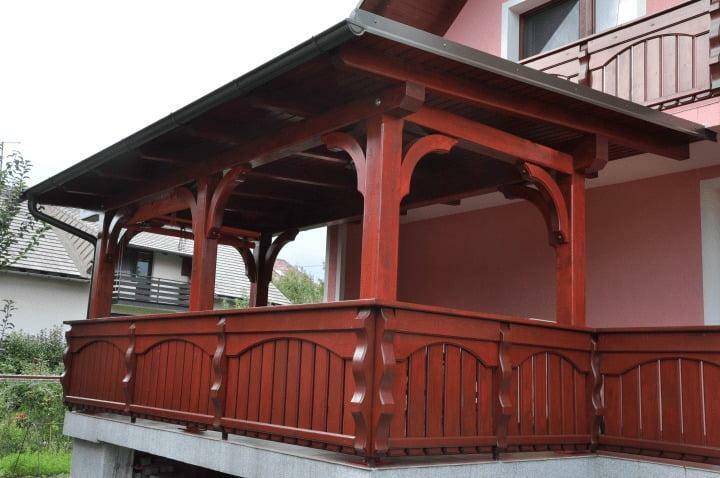 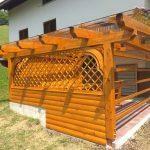 Our products are mostly made of Slovenian wood. 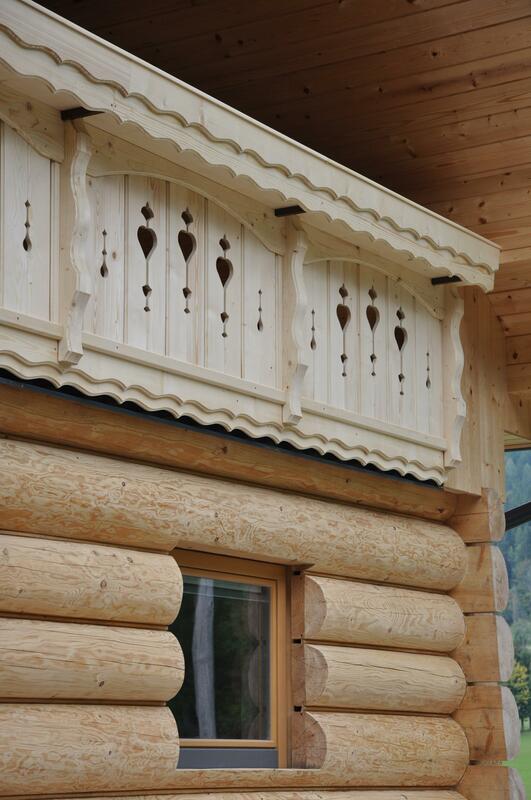 This procedure makes the rings on the surface of the wood more visible. 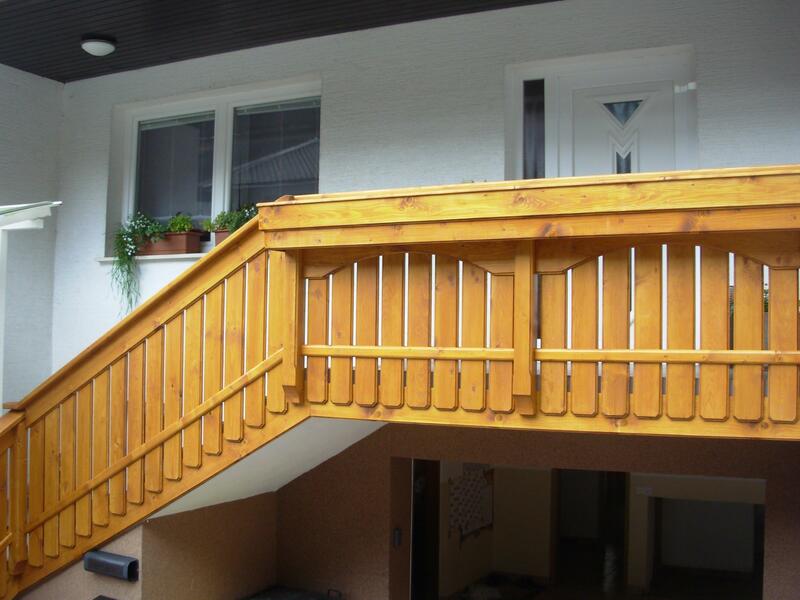 The wood is previously planed and sanded, and afterwards special metal and plastic brushes are used to “hollow out” the wood between two rings. 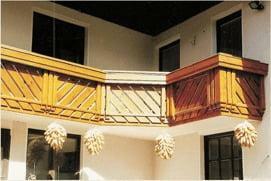 The wood is thus given a relief structure, since the soft wood has been removed and only the hard wood remains. 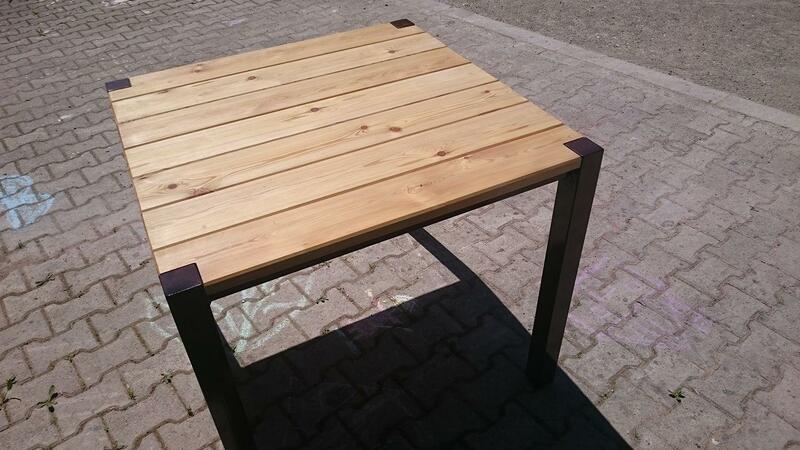 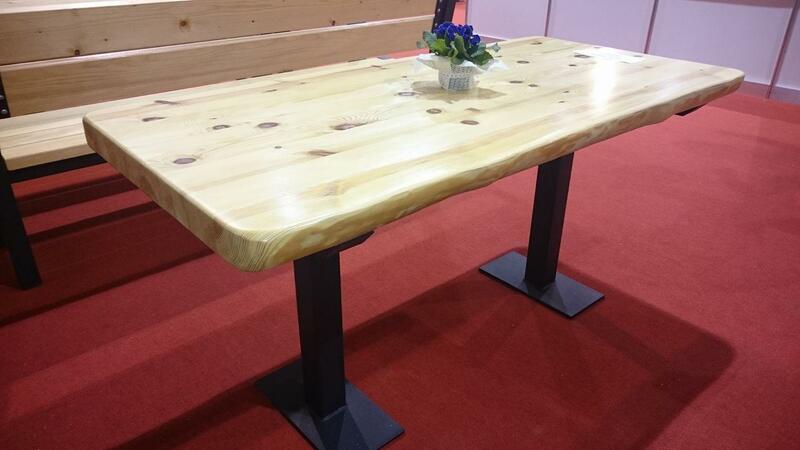 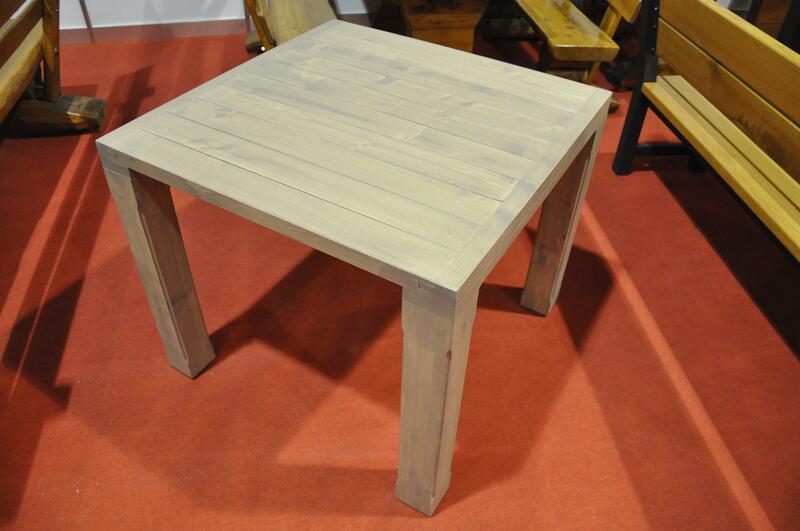 This look is especially suitable for garden furniture sets, as it gives them a more rustic look. 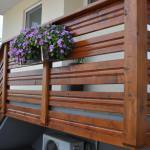 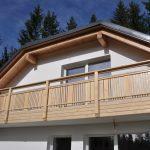 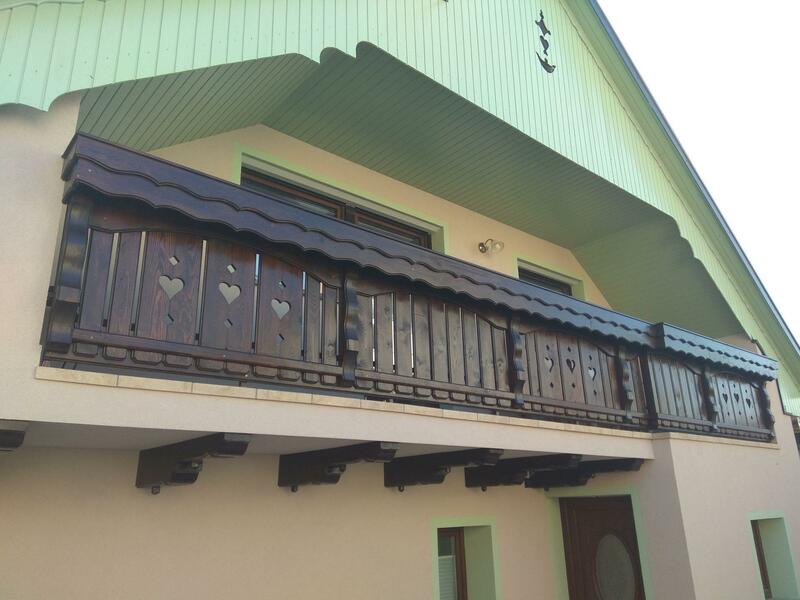 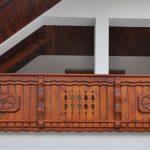 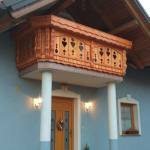 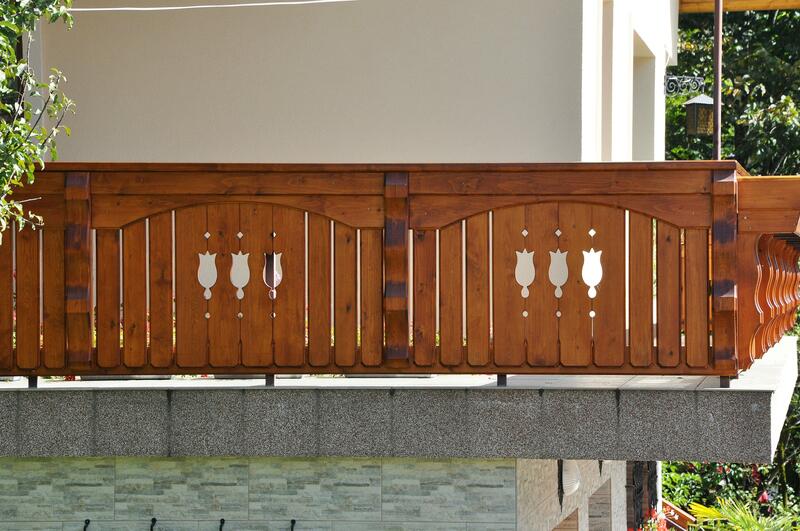 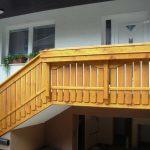 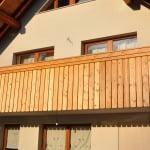 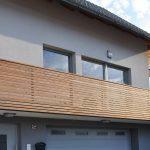 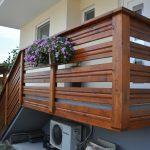 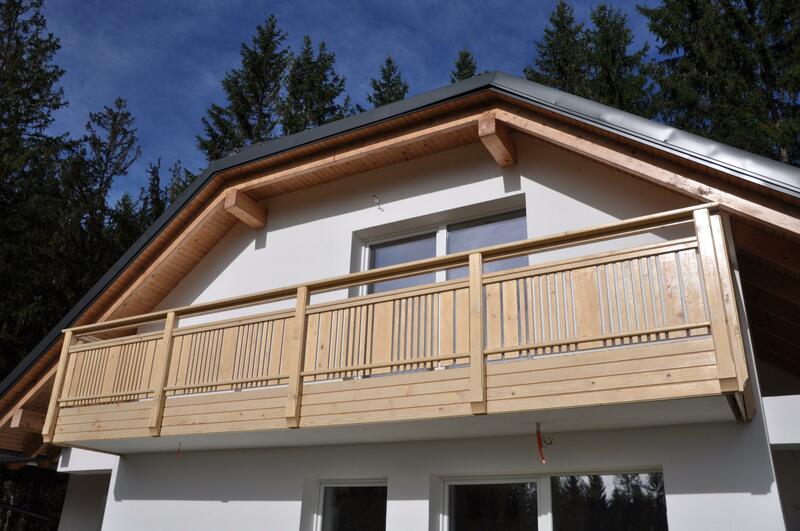 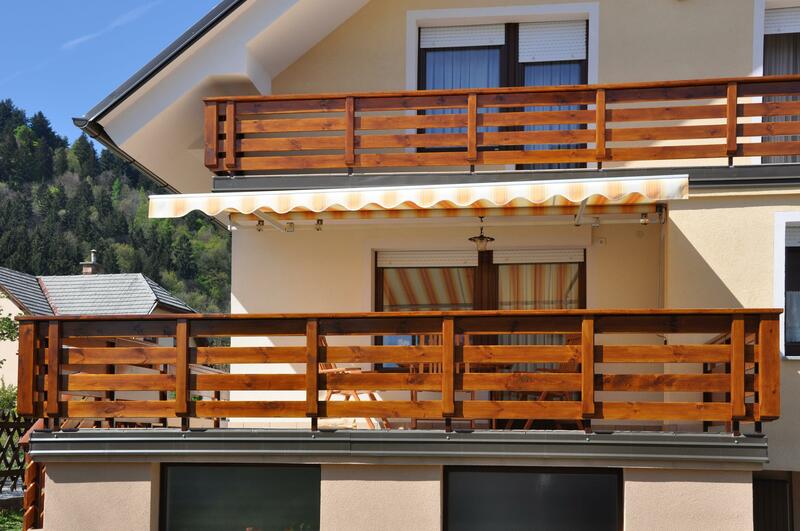 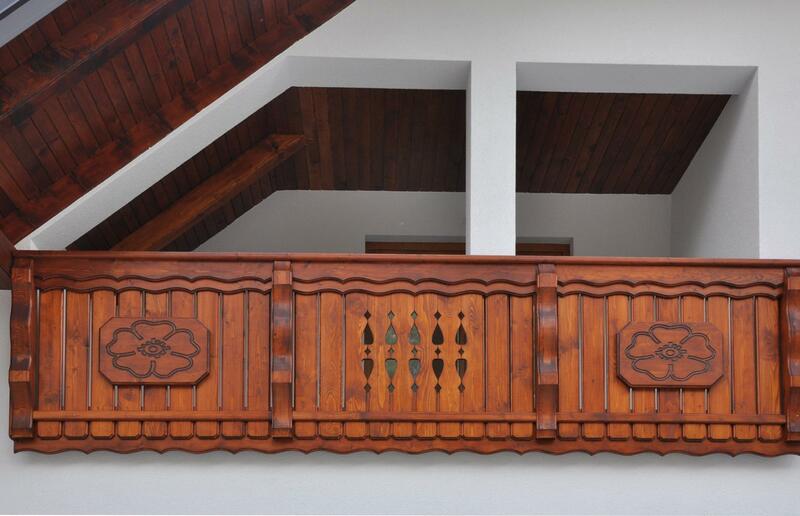 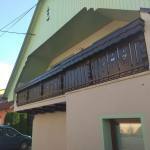 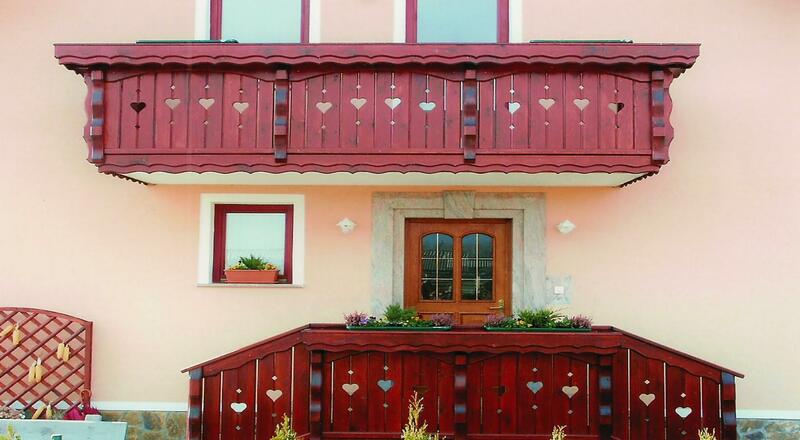 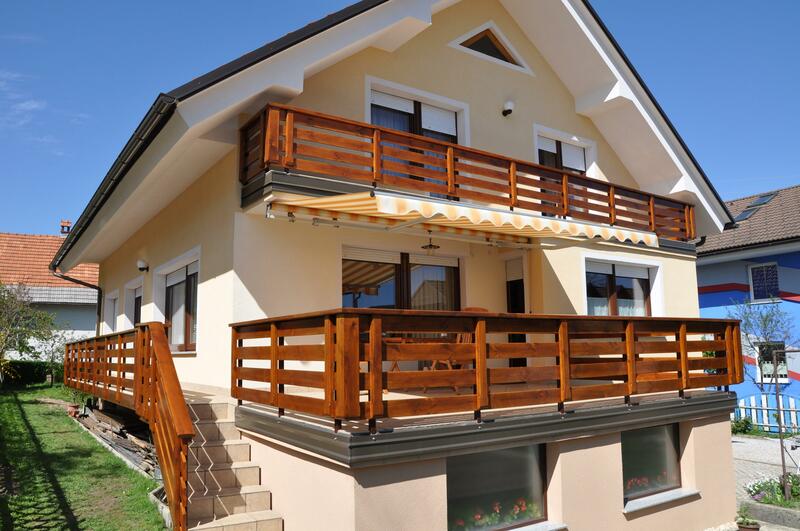 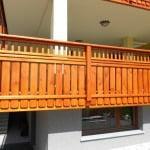 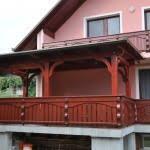 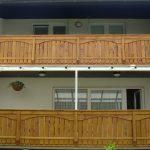 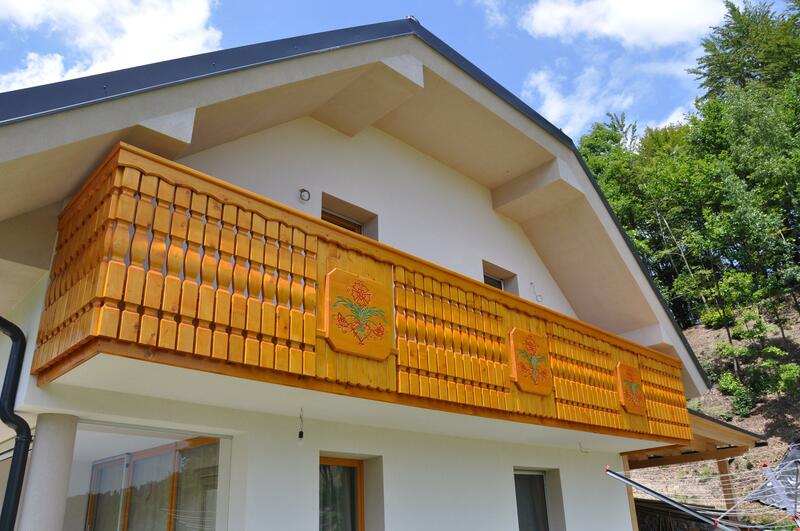 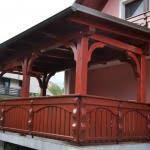 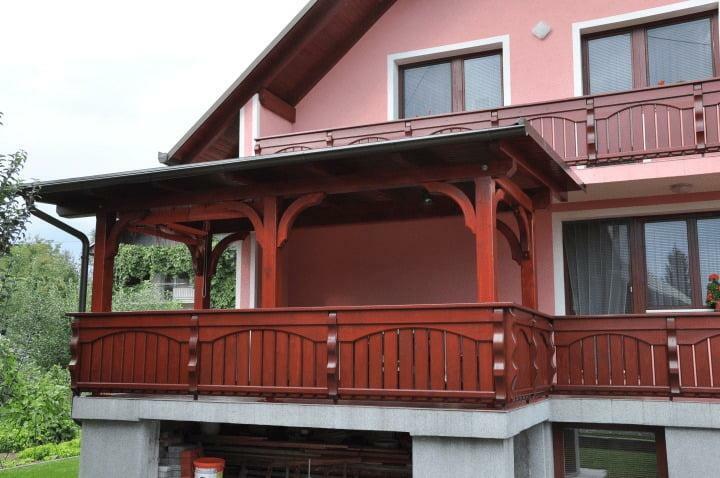 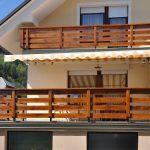 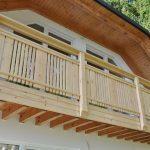 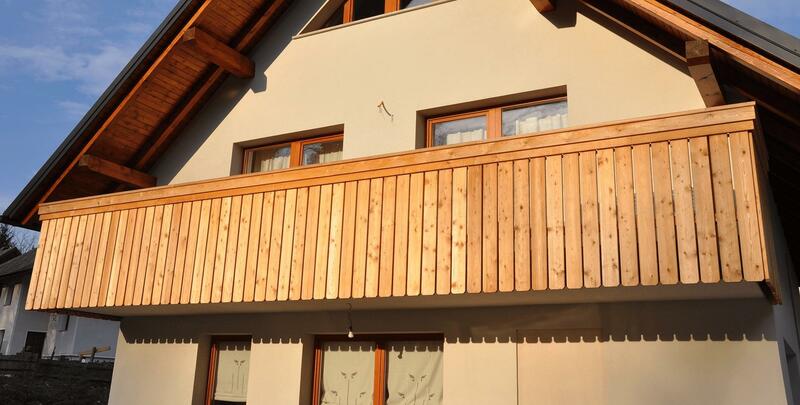 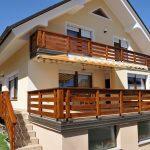 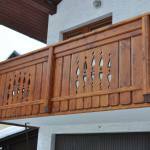 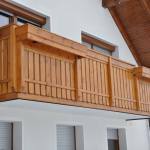 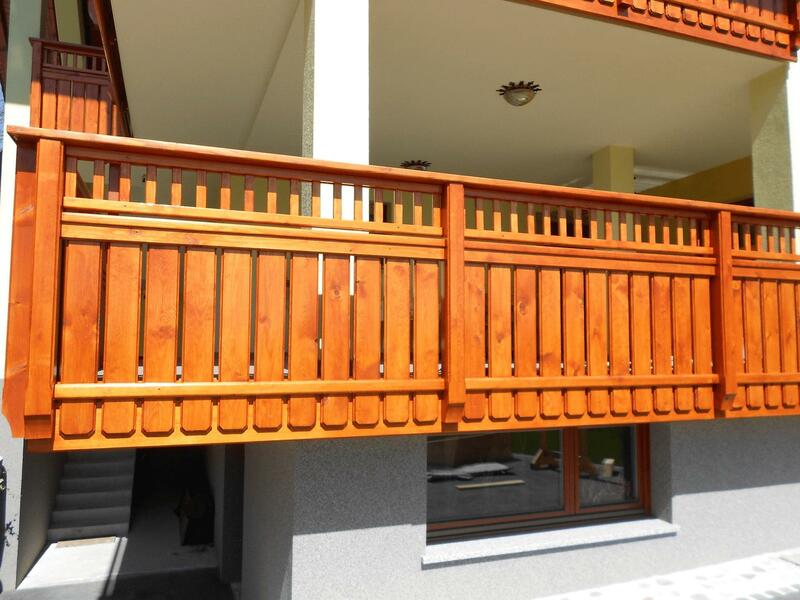 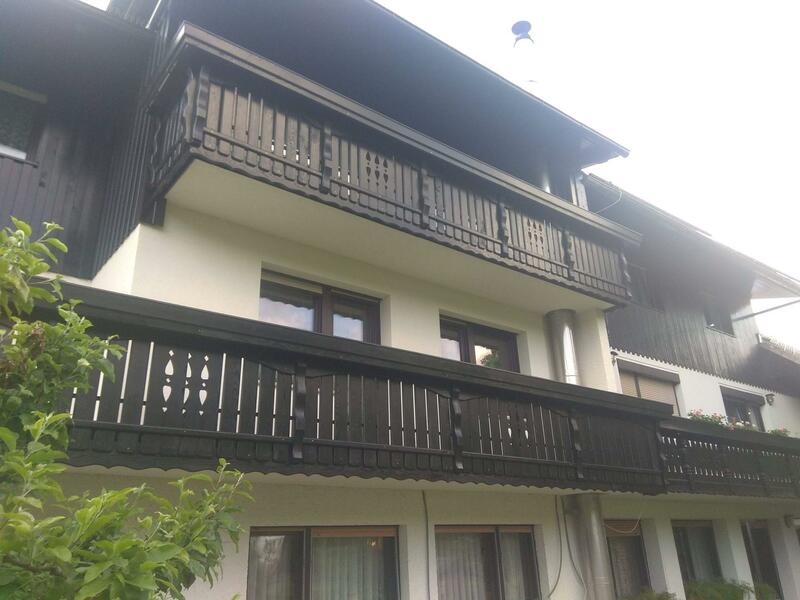 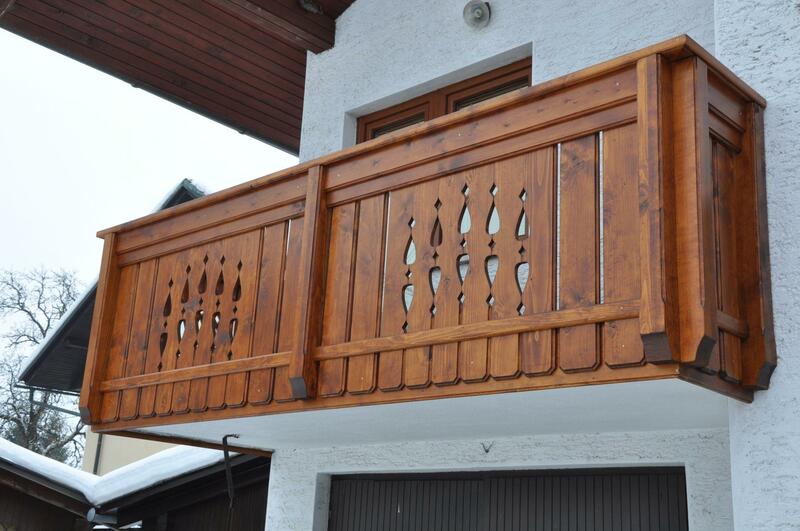 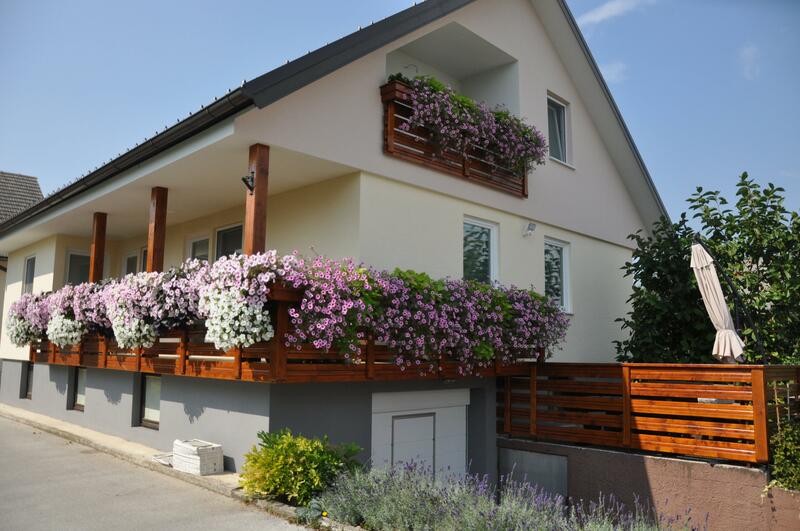 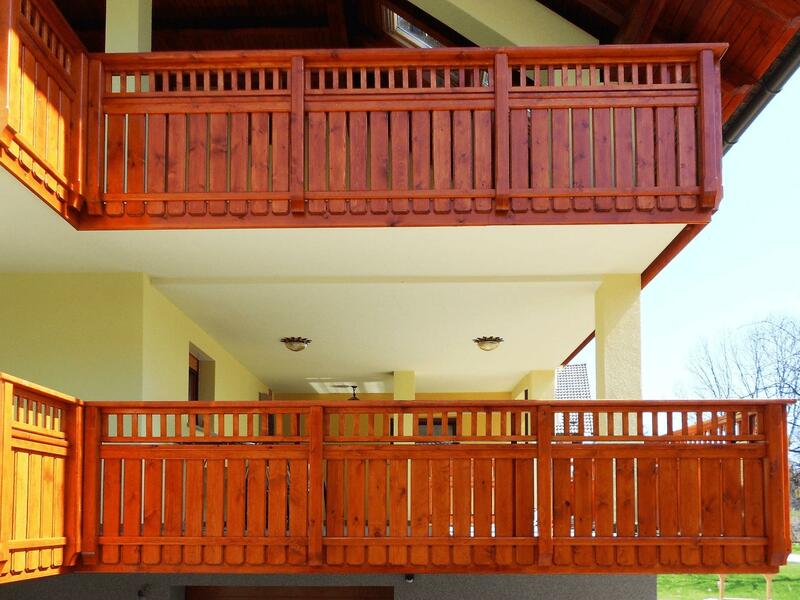 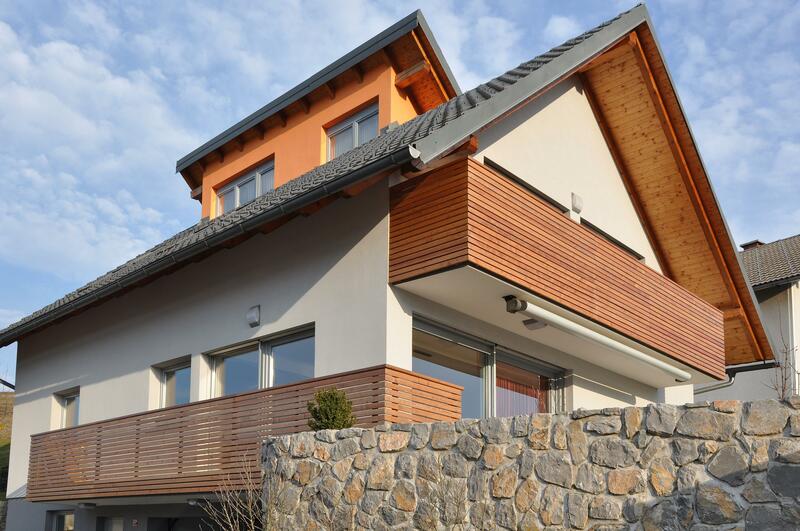 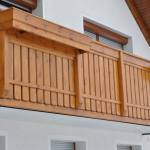 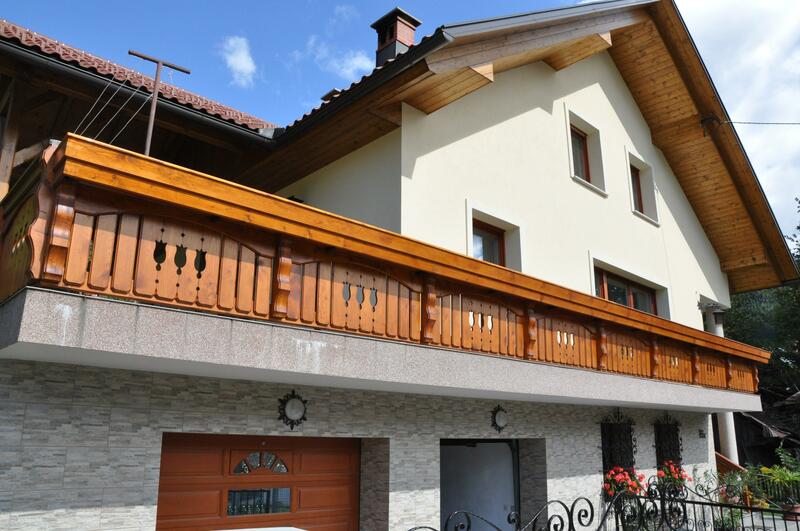 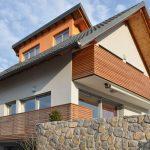 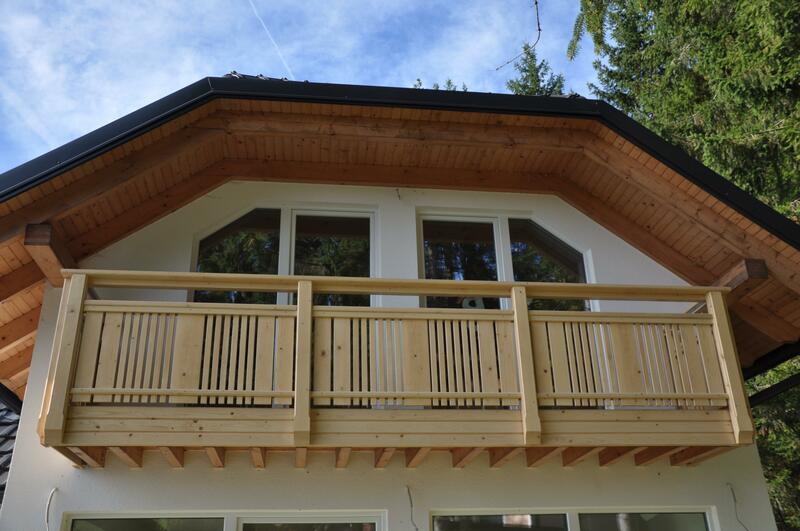 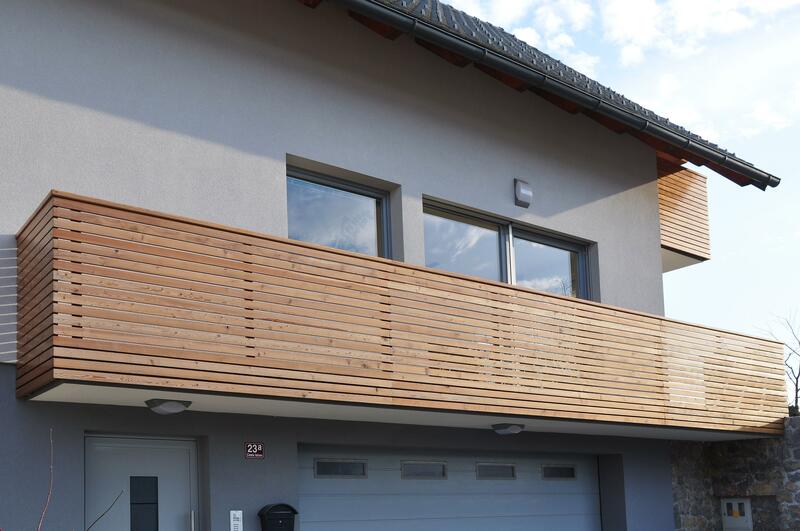 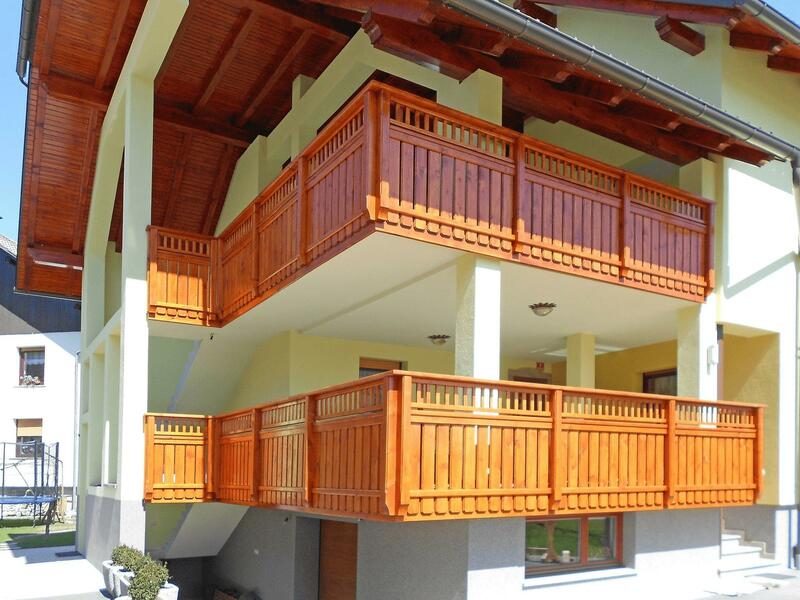 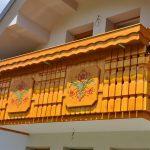 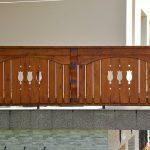 A massive wooden balcony railing gives your house an attractive look. 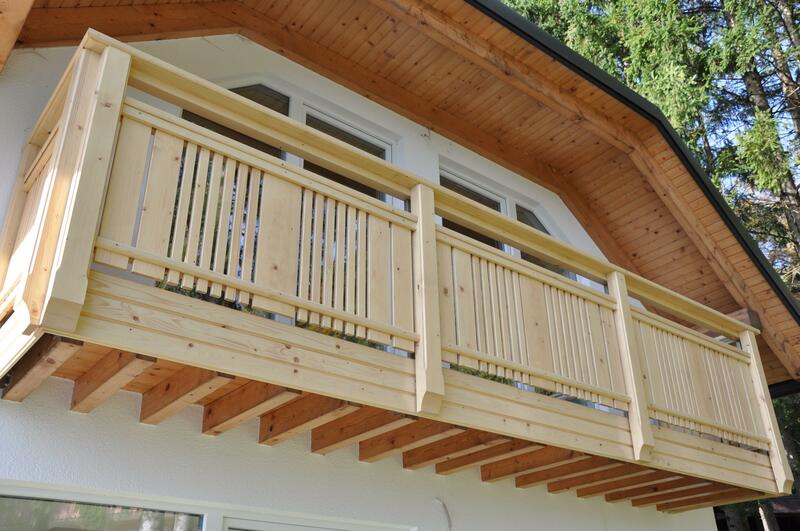 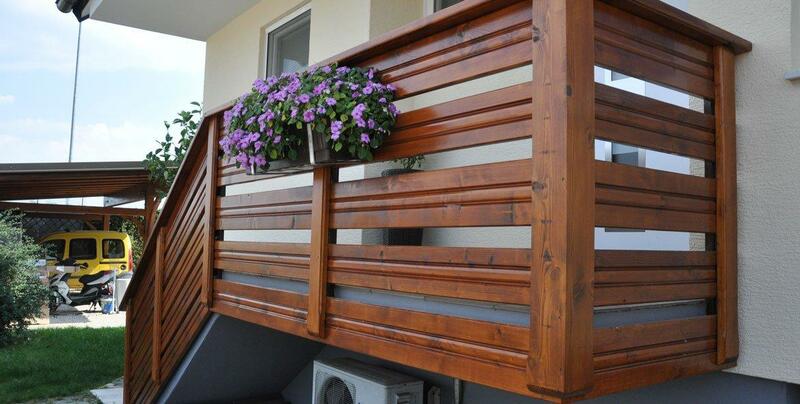 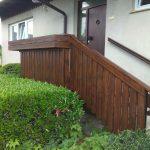 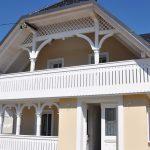 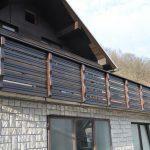 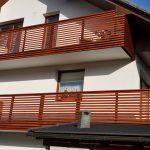 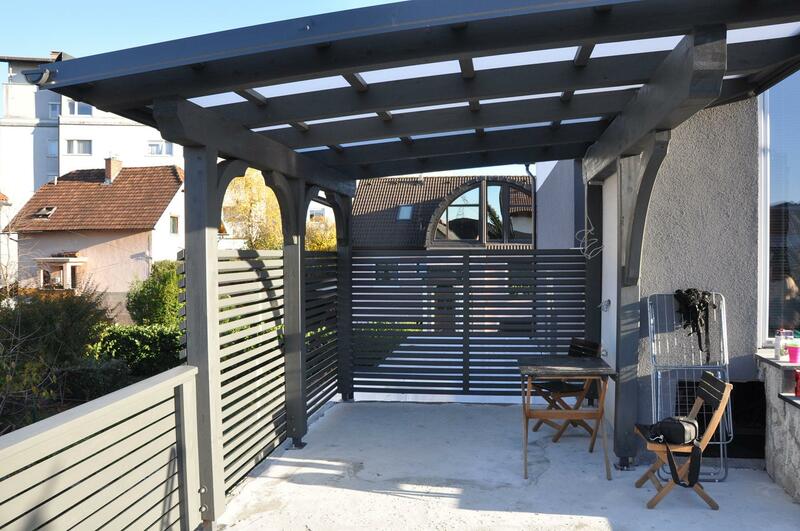 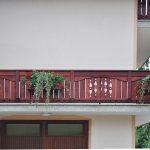 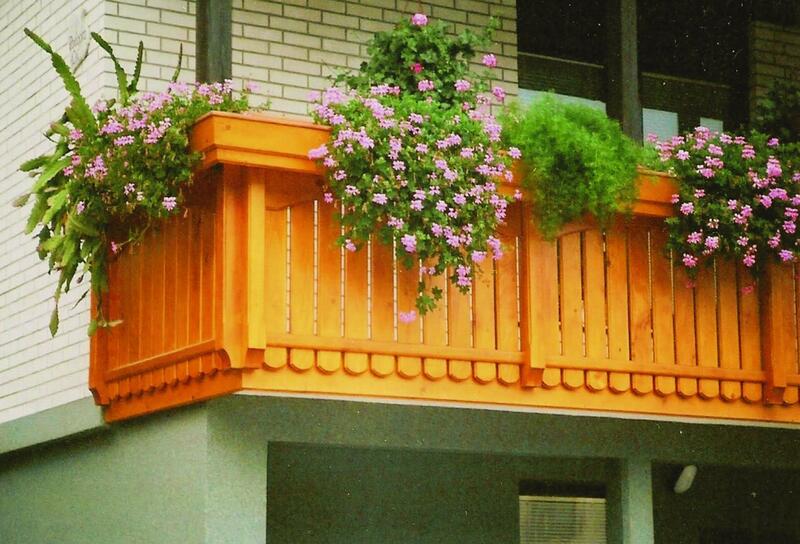 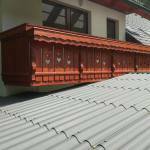 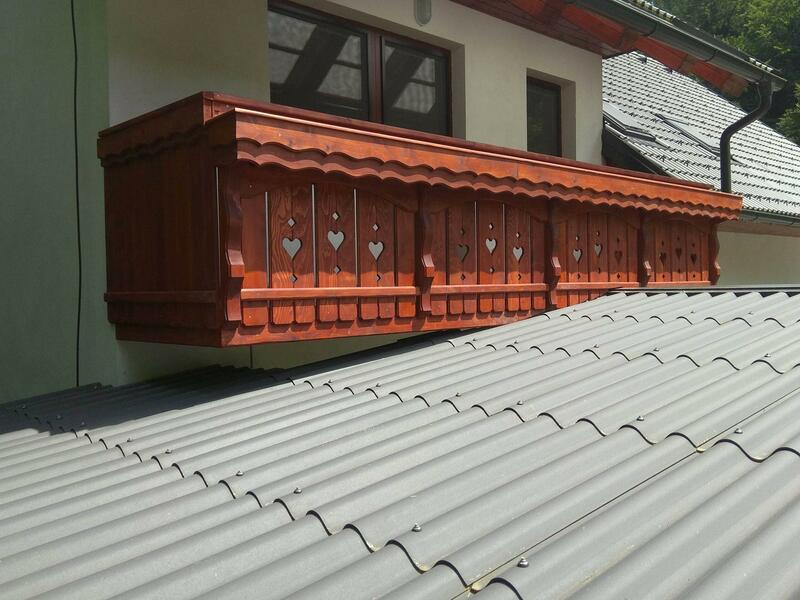 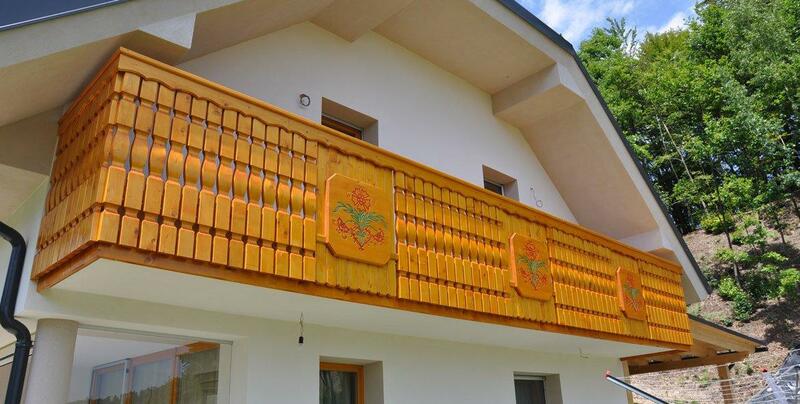 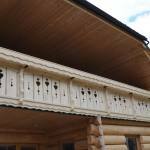 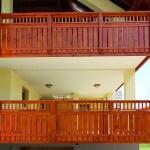 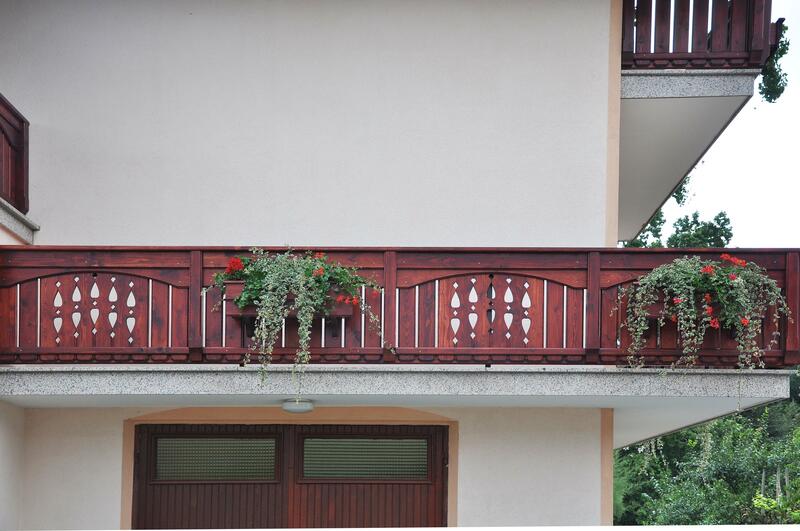 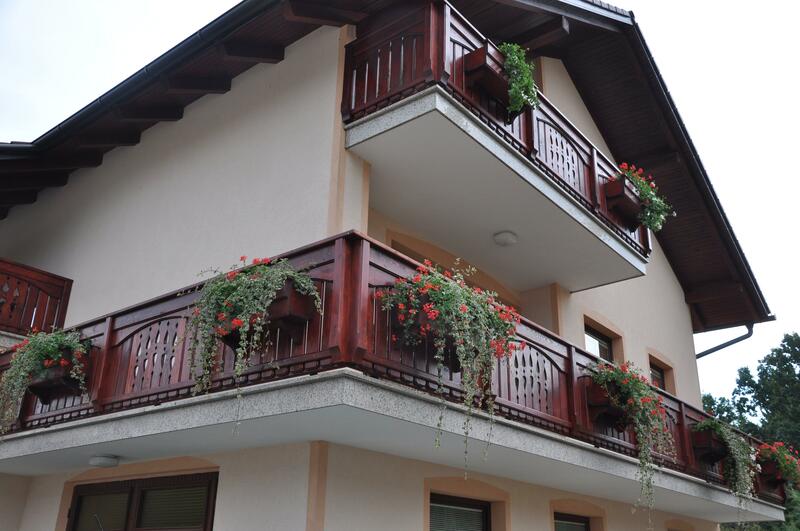 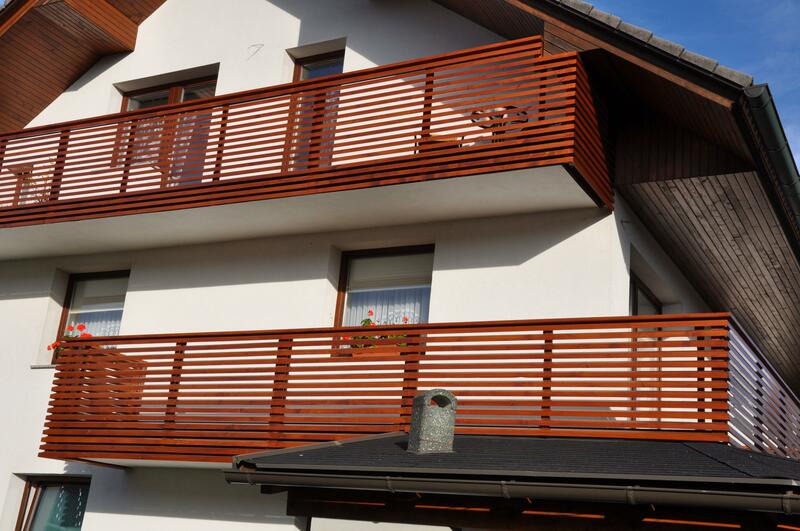 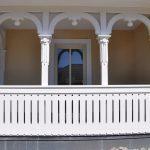 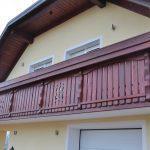 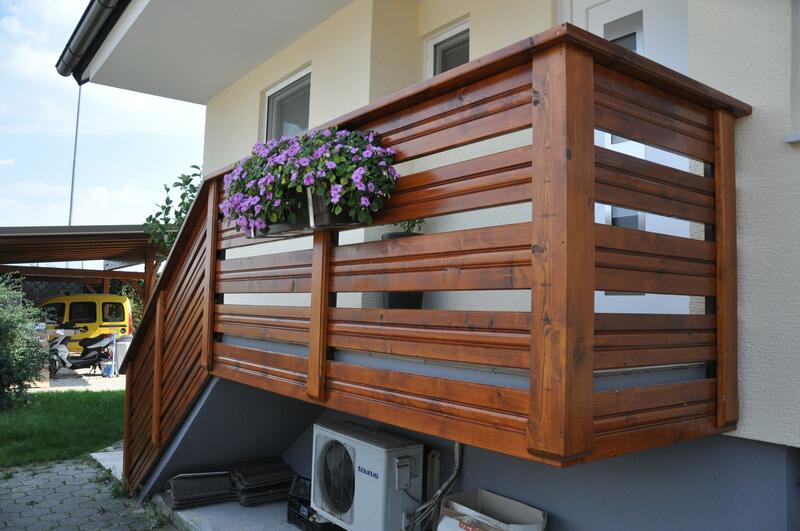 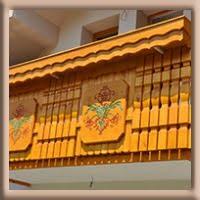 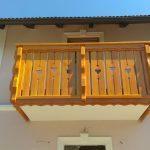 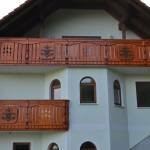 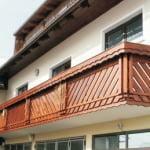 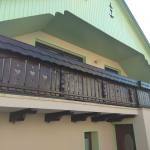 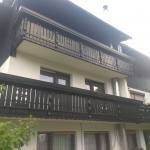 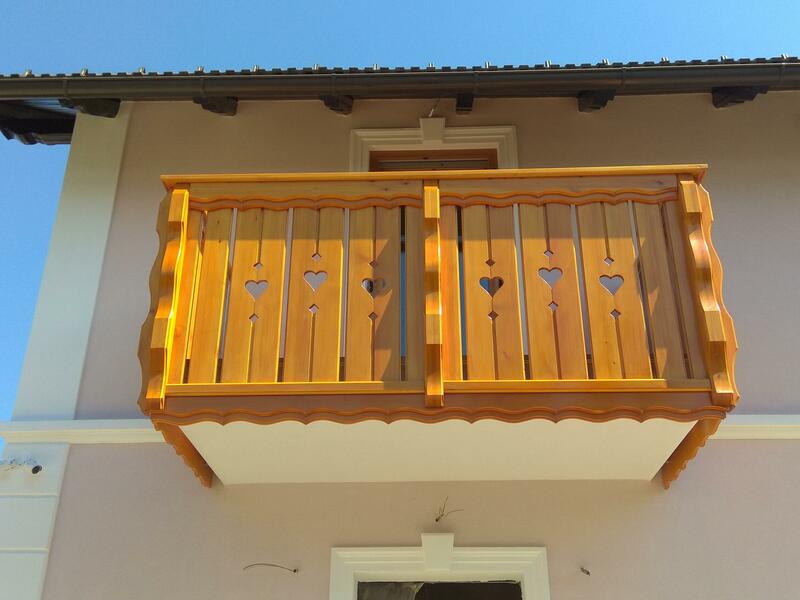 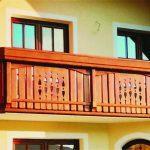 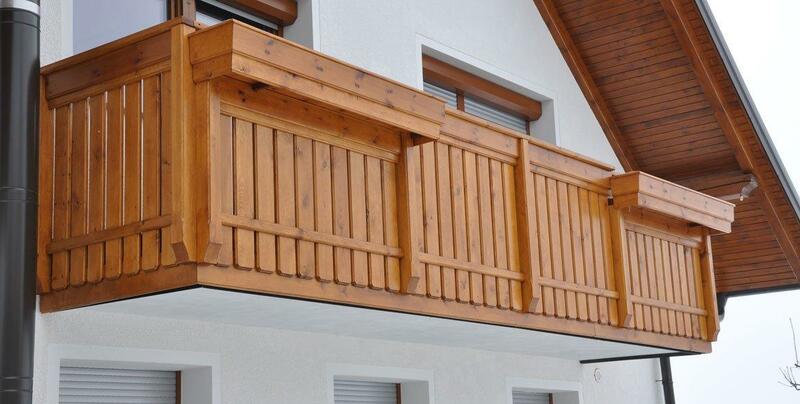 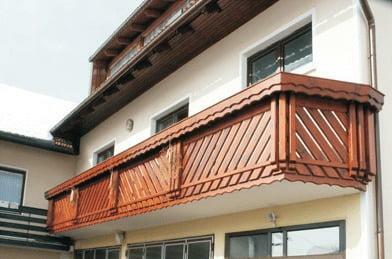 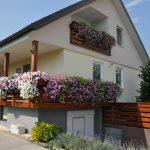 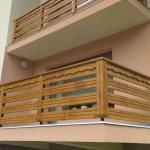 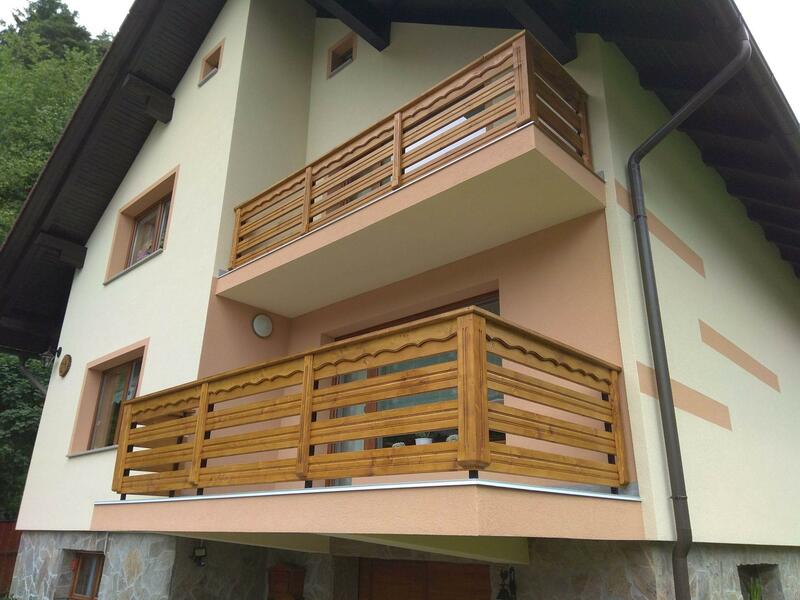 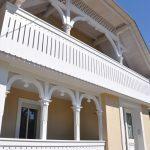 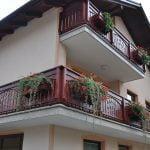 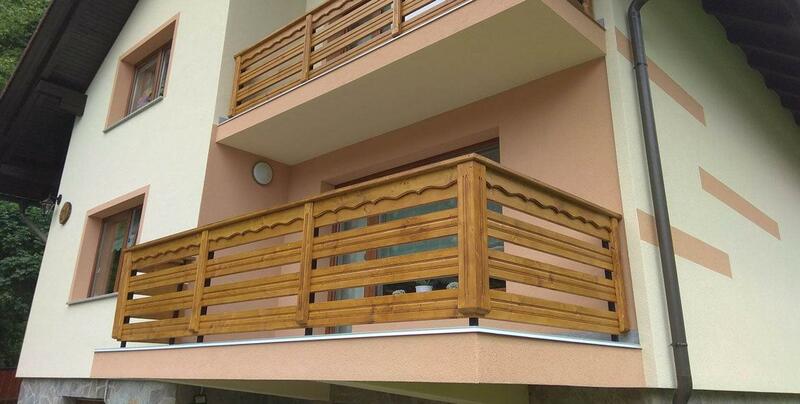 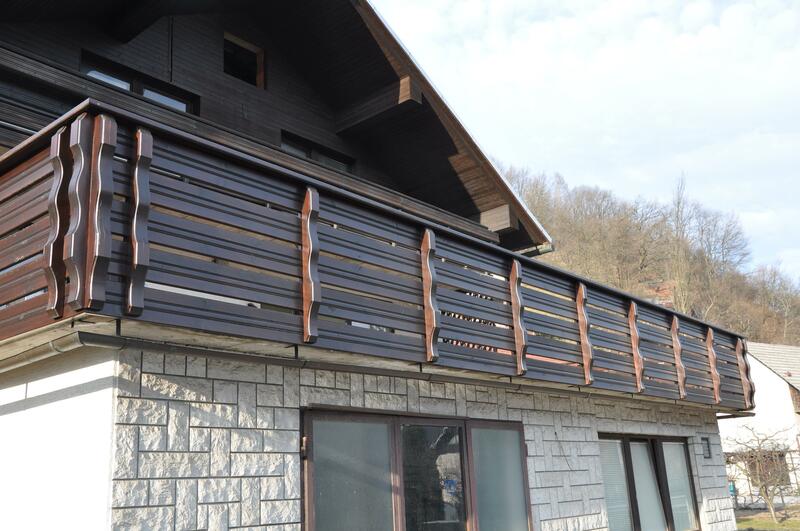 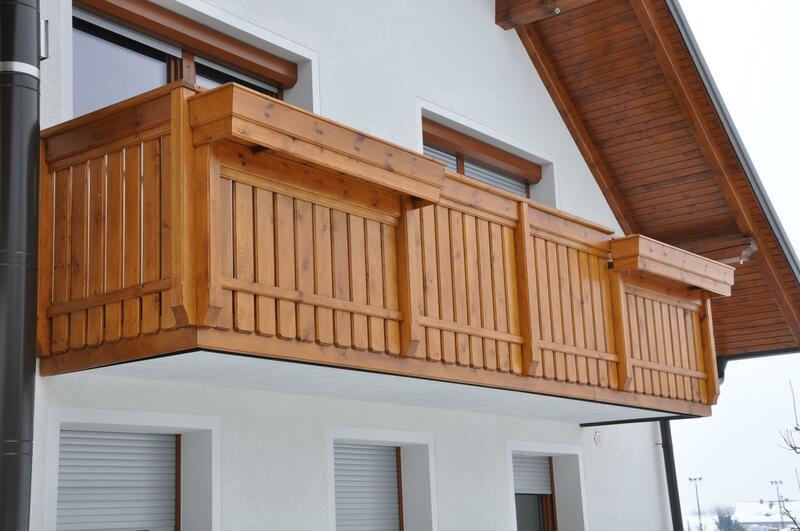 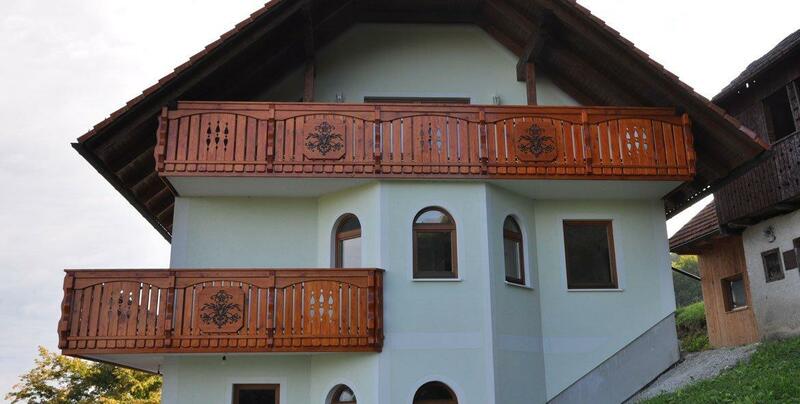 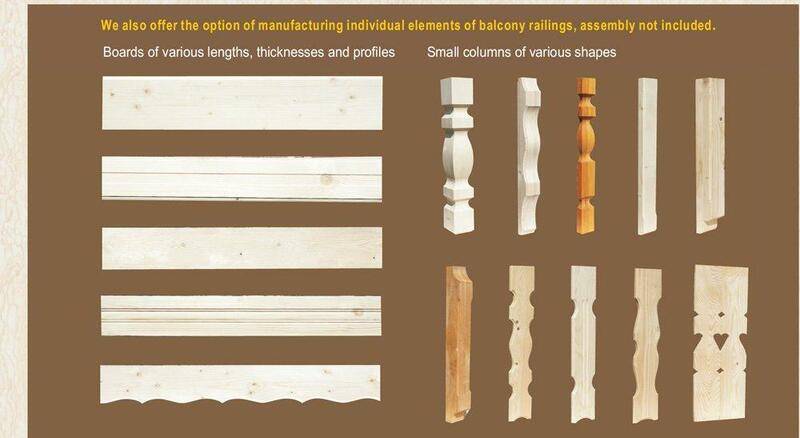 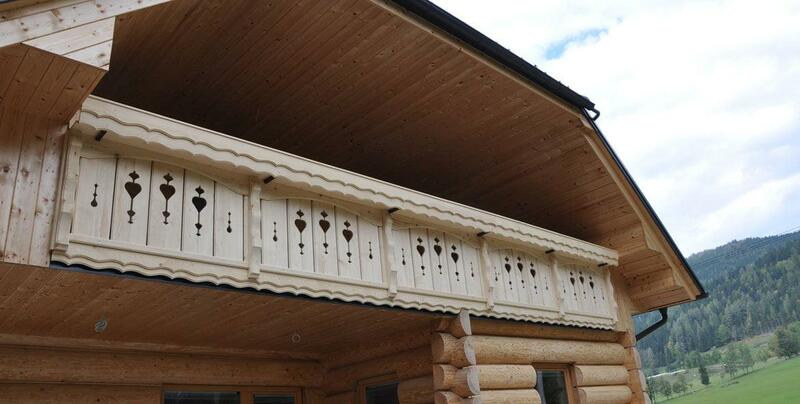 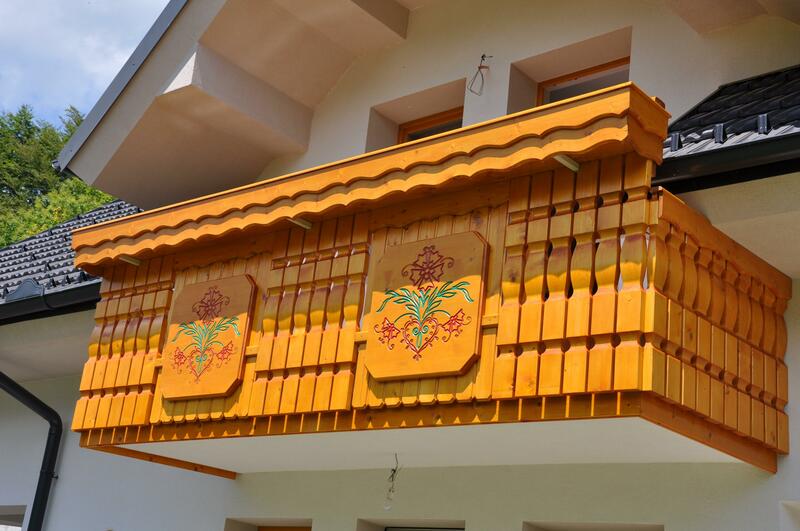 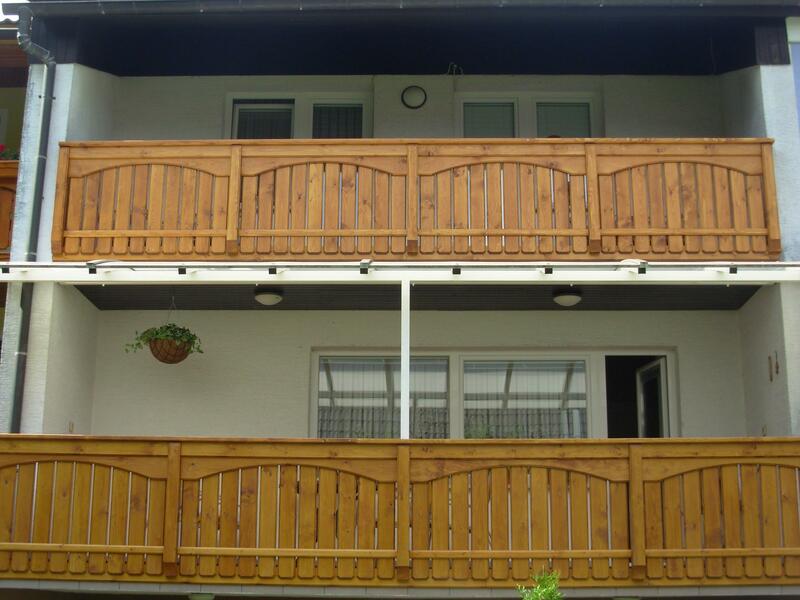 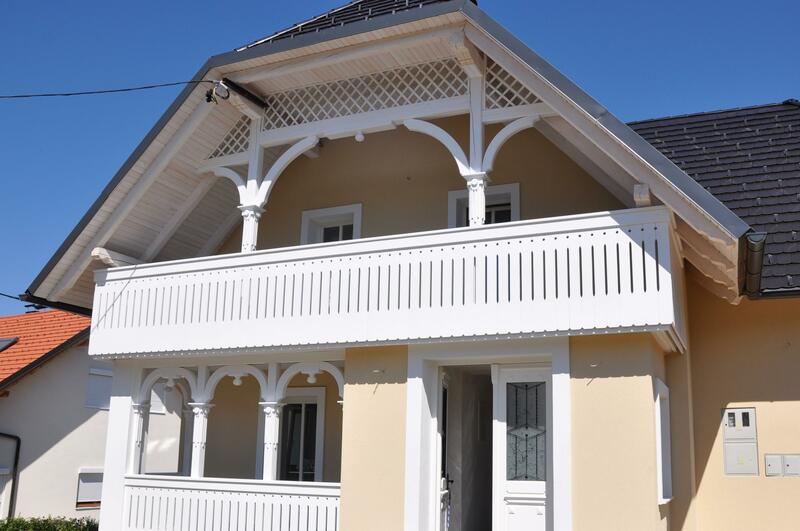 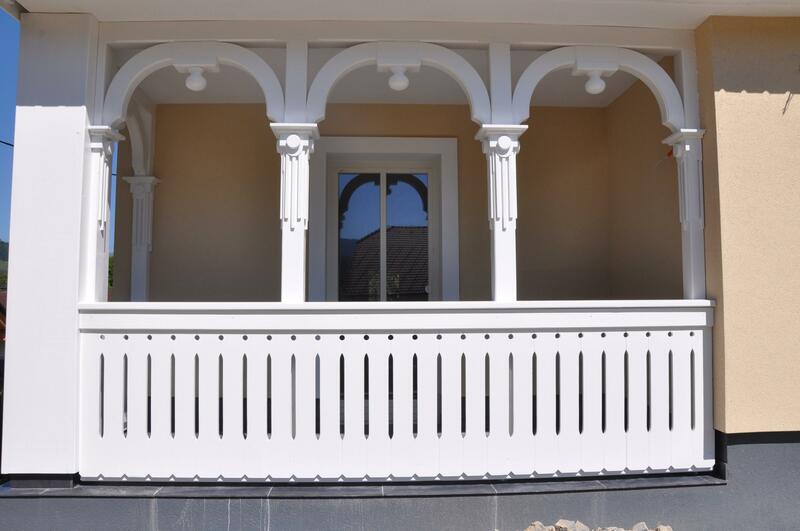 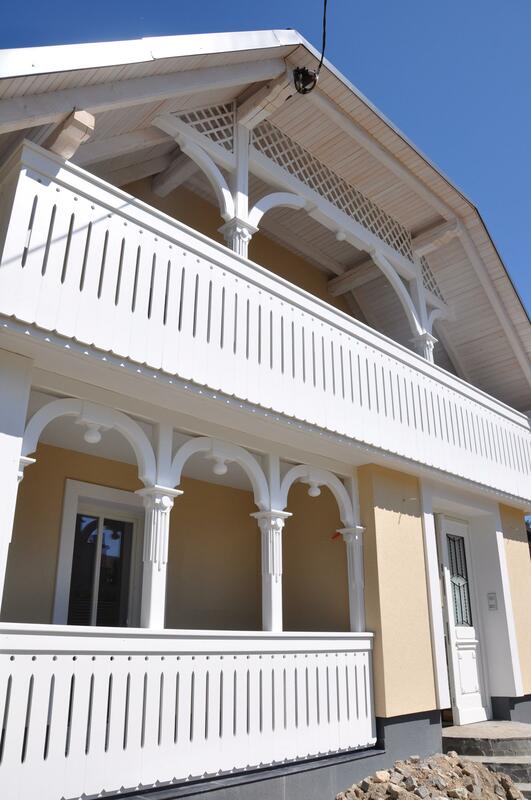 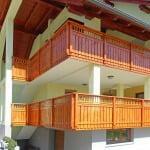 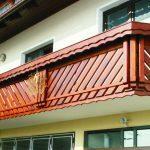 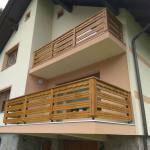 Our experienced and responsible company manufactures several types of balcony railings. 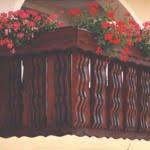 These differ in shape, but all of them can be added flower troughs and wooden borders. 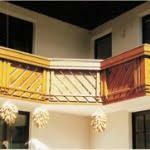 All railings are adapted to the buyer’s wishes; we also manufacture individual elements of railings. 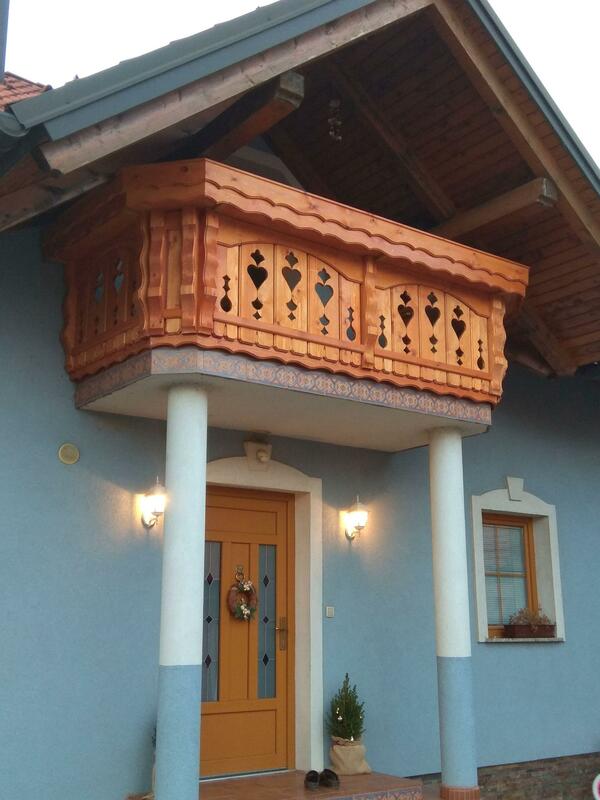 A custom-made model with antique motifs. 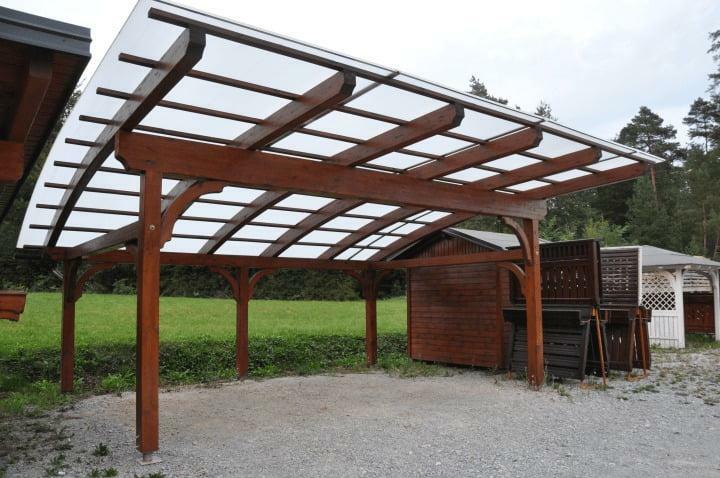 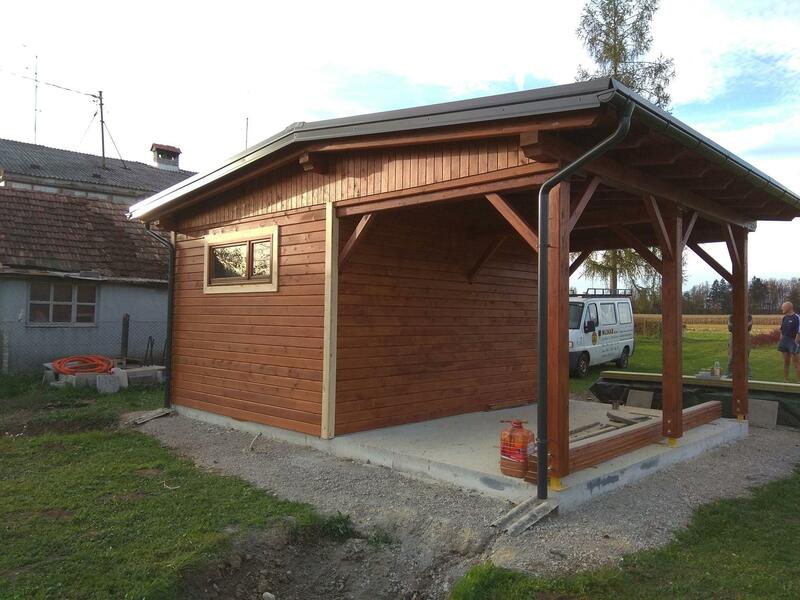 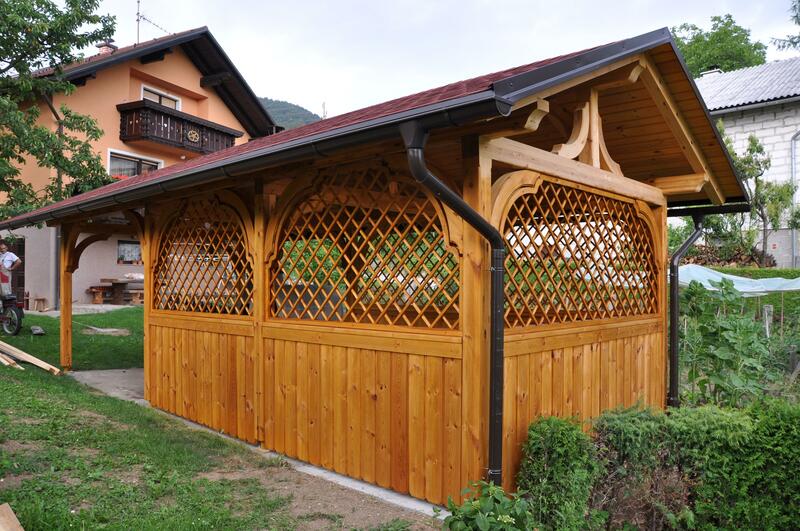 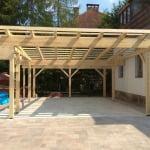 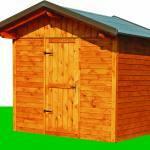 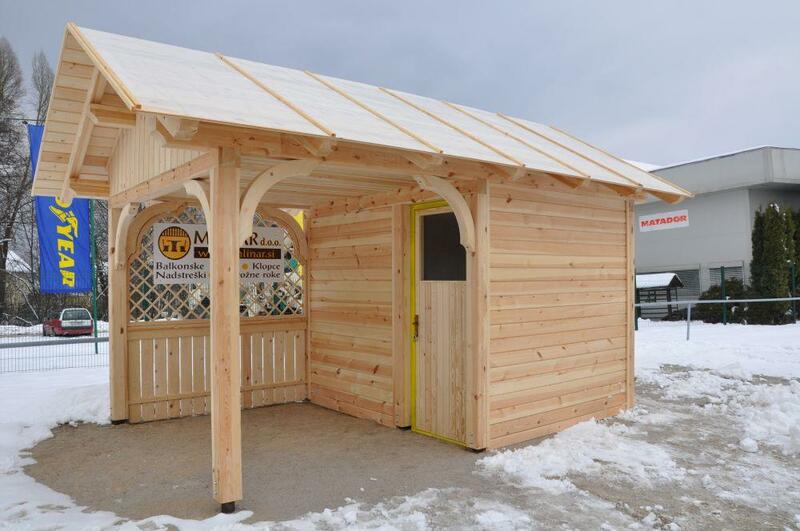 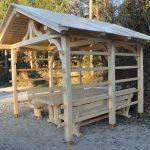 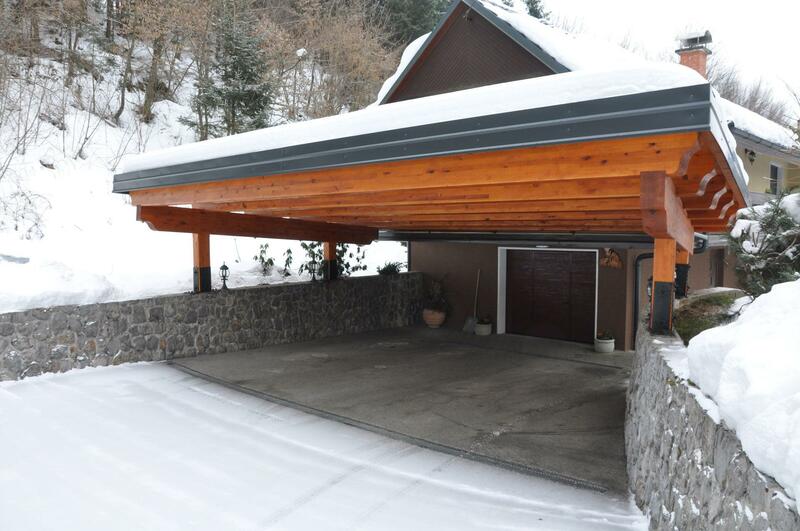 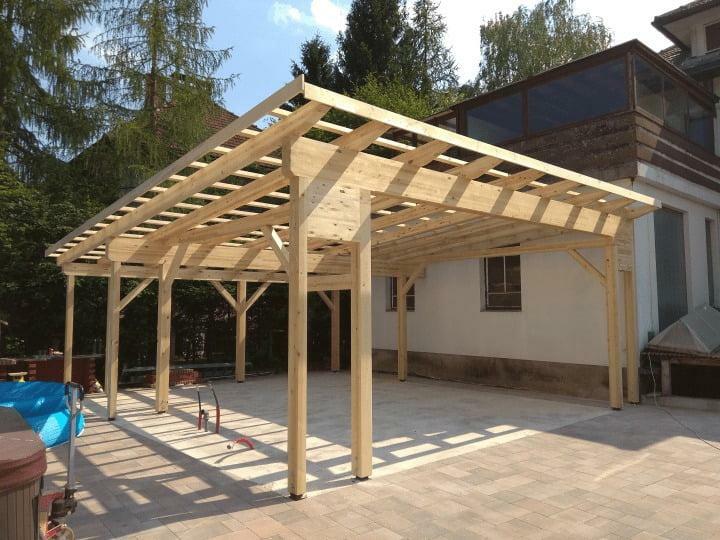 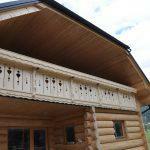 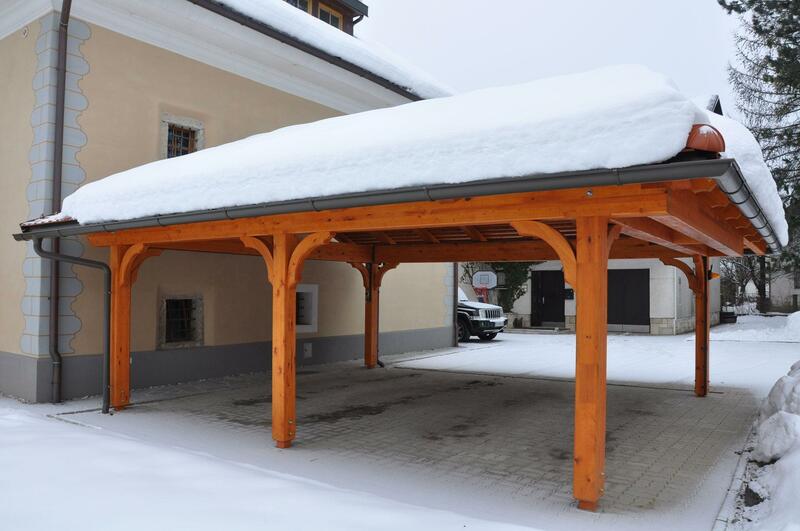 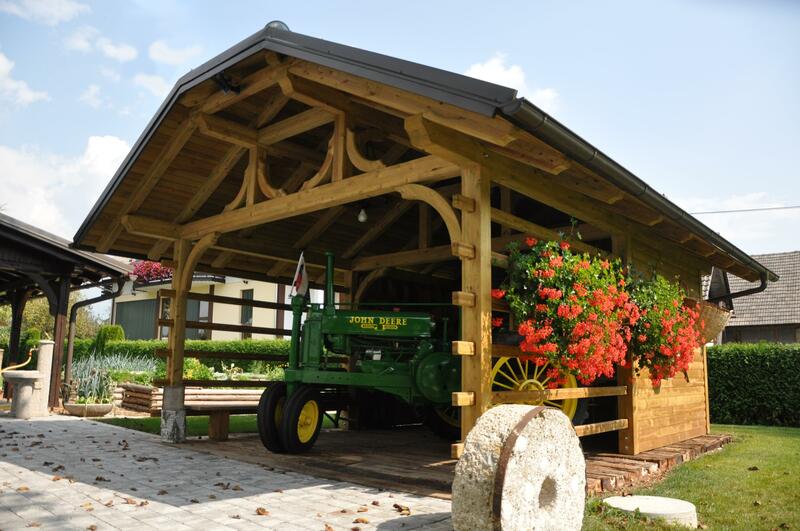 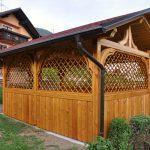 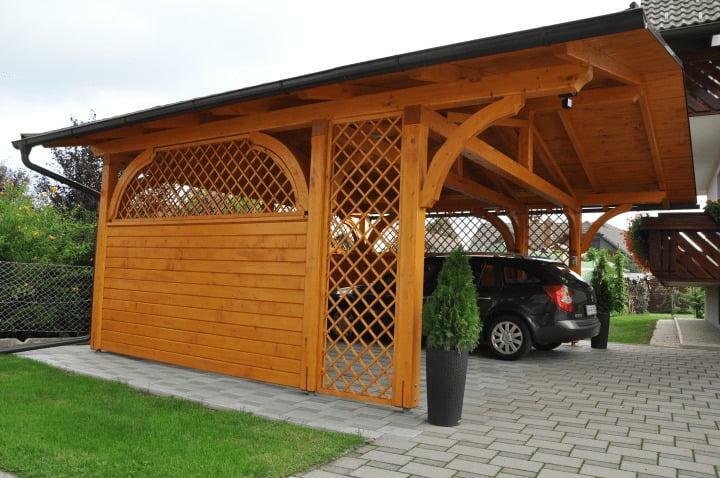 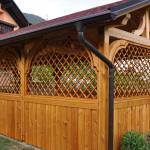 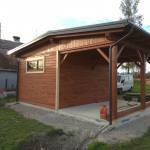 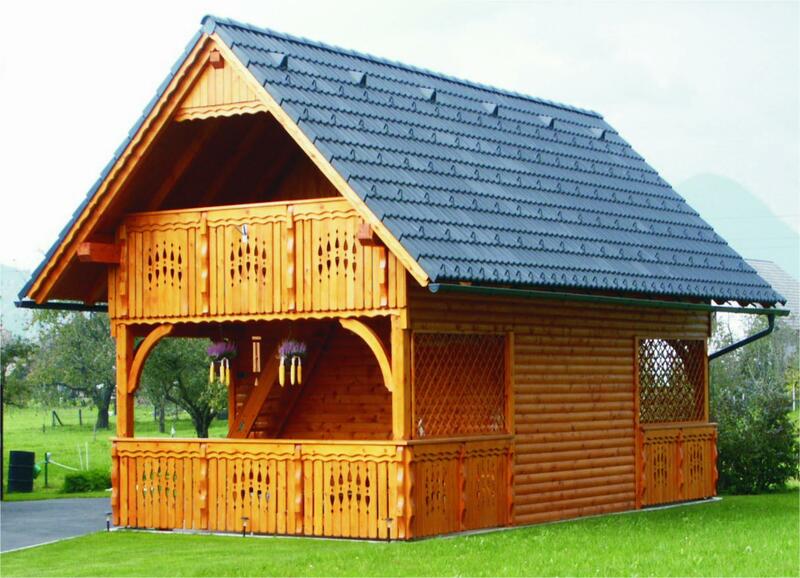 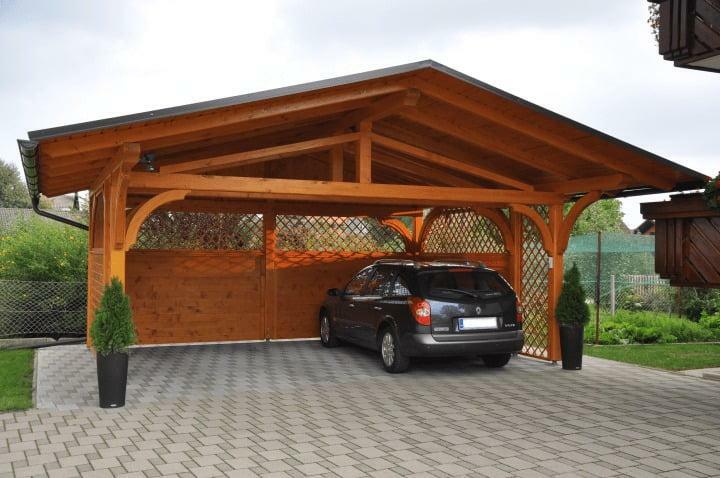 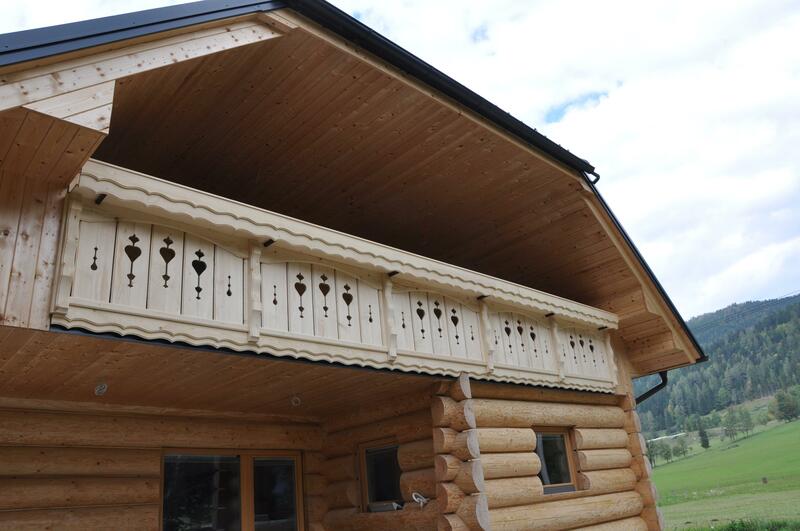 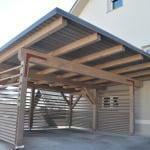 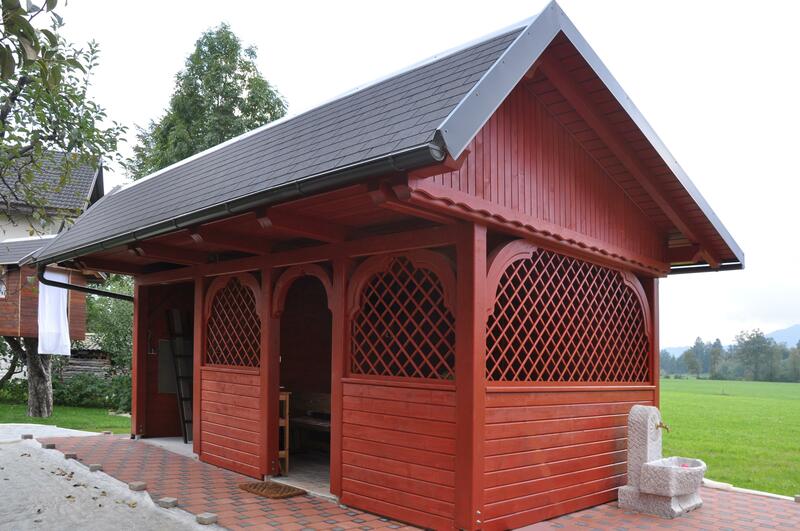 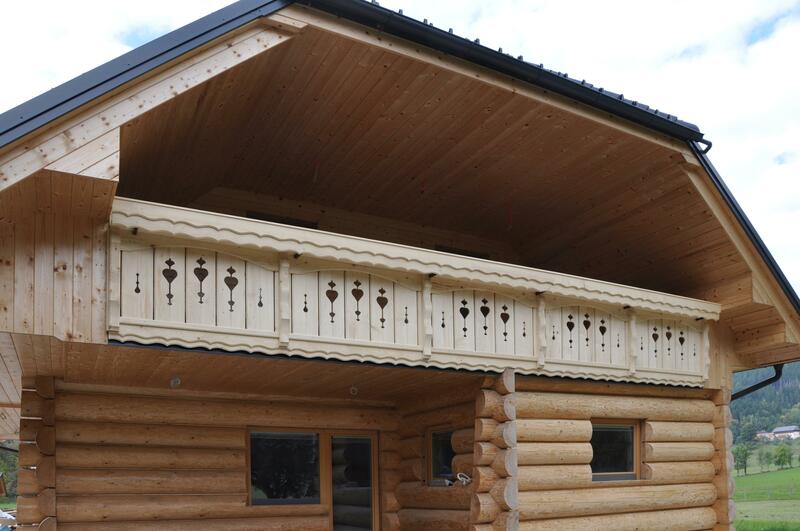 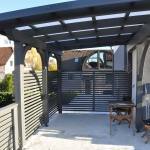 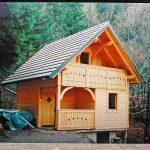 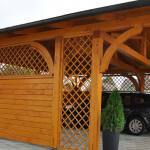 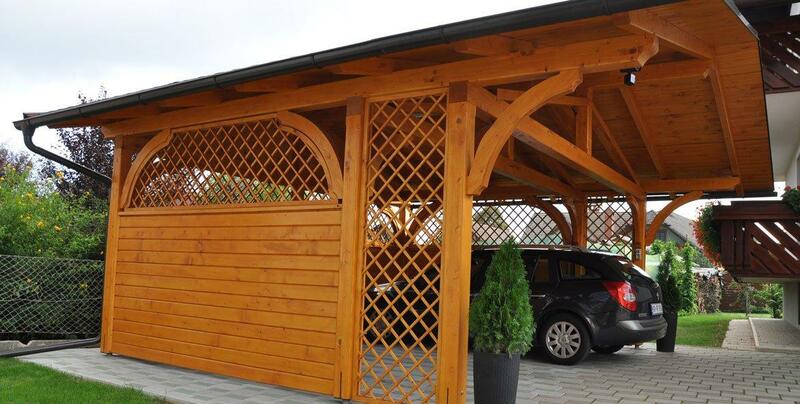 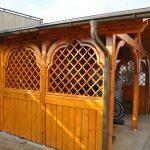 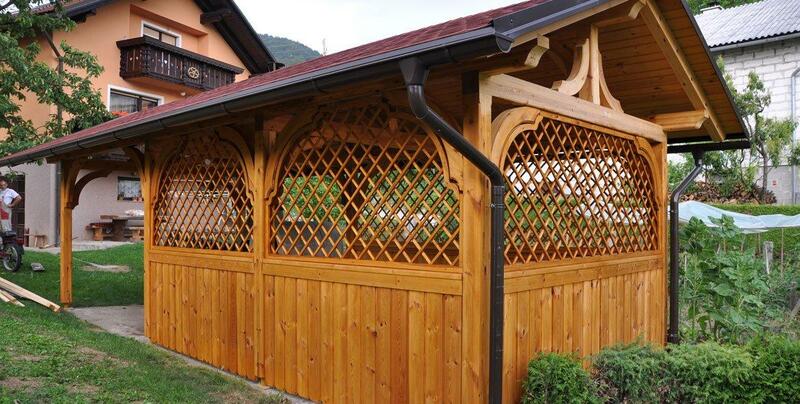 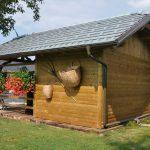 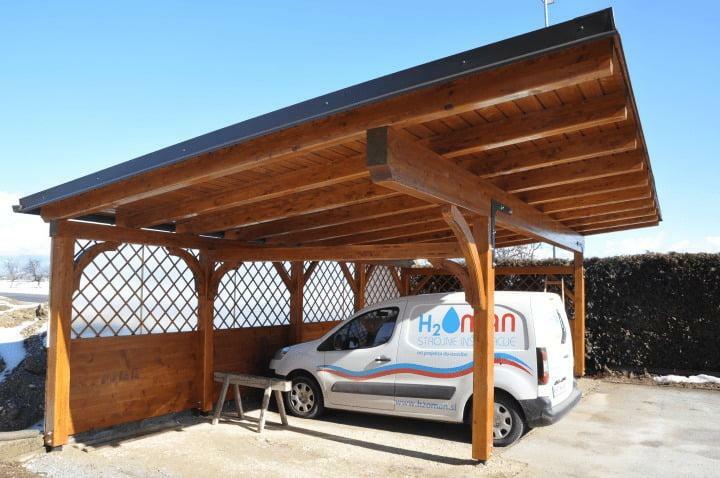 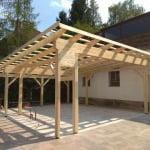 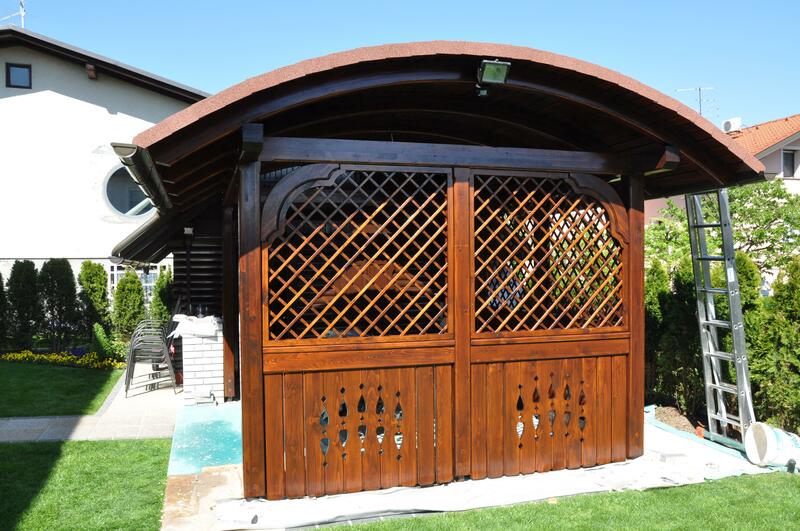 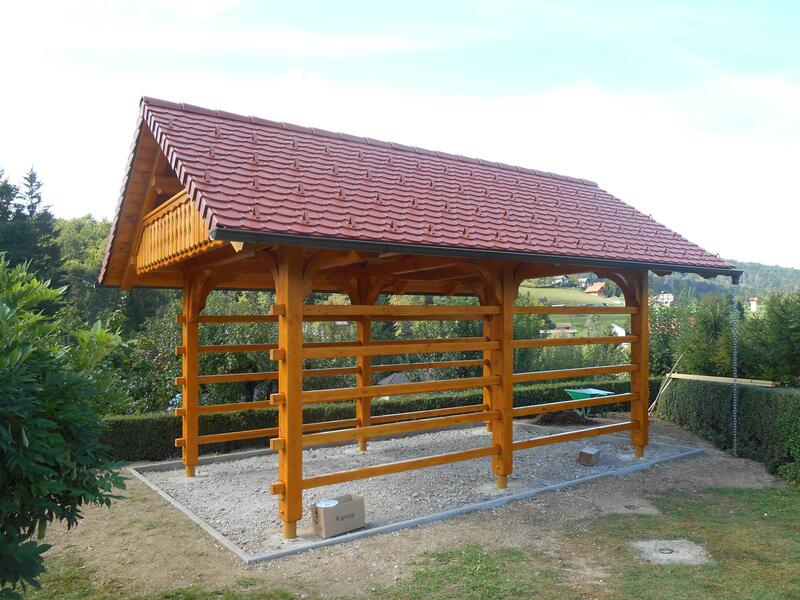 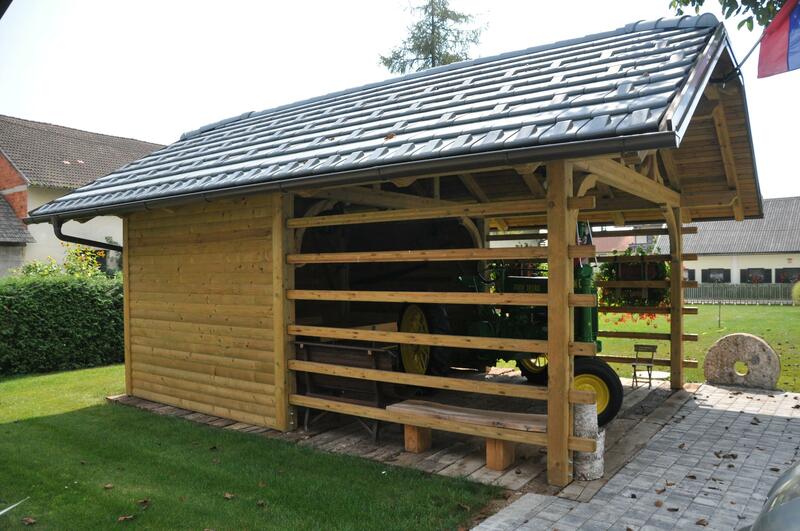 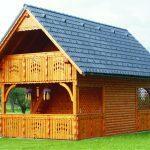 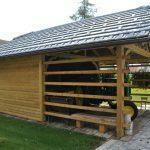 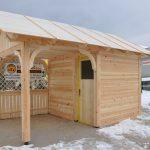 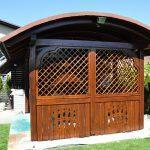 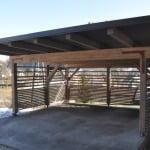 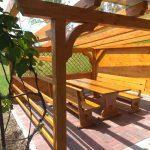 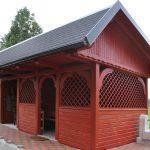 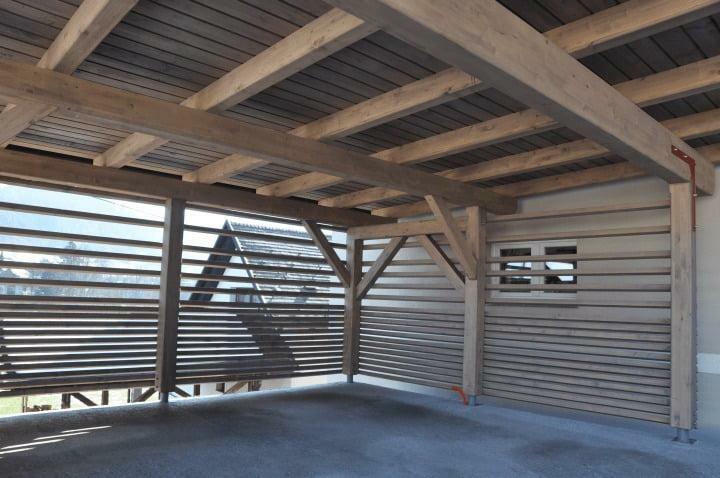 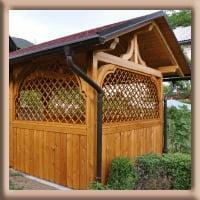 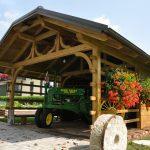 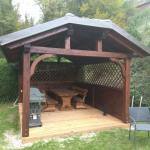 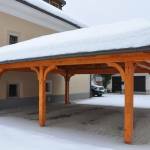 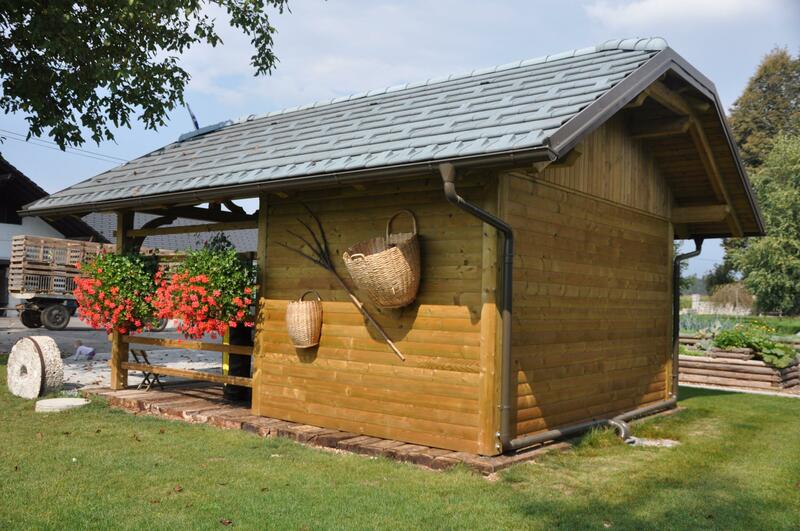 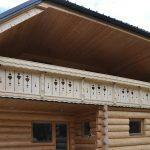 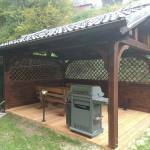 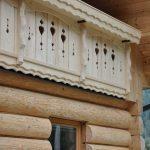 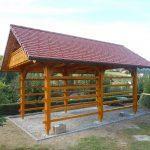 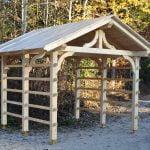 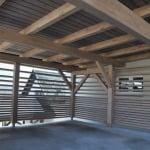 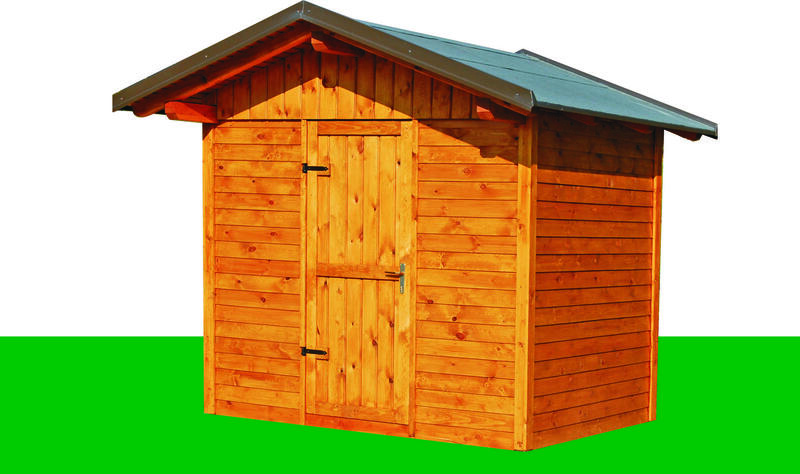 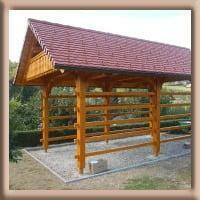 Garden sheds, pergolas and log cabins are solely custom-made. 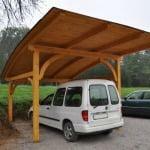 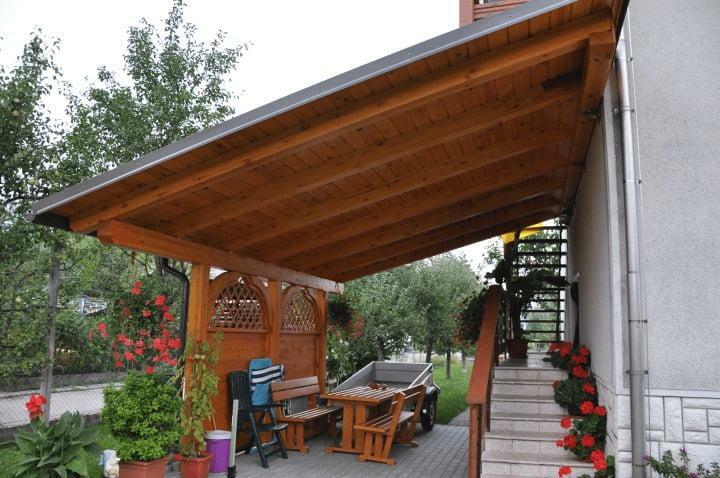 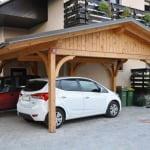 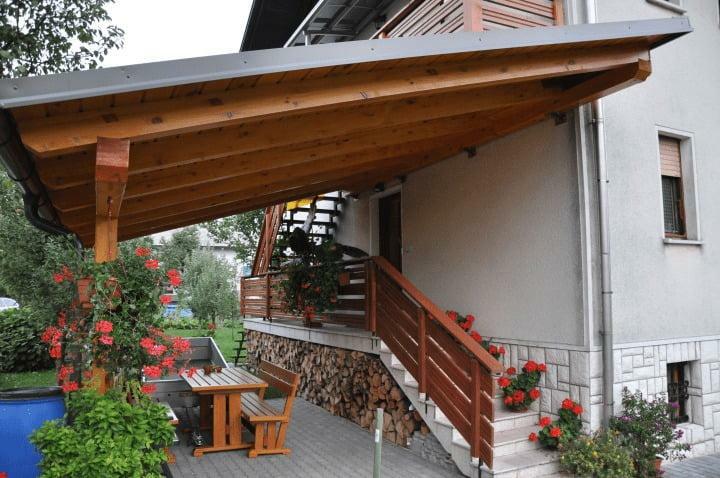 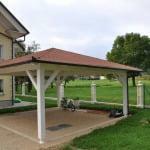 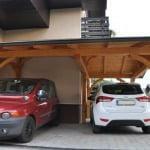 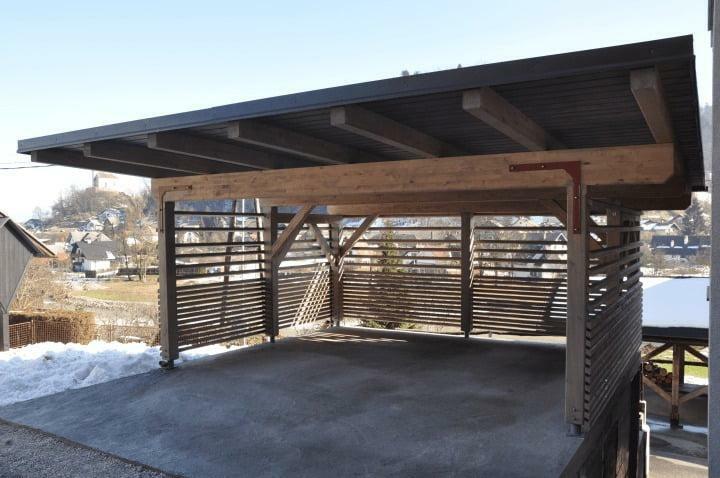 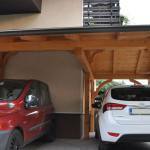 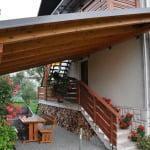 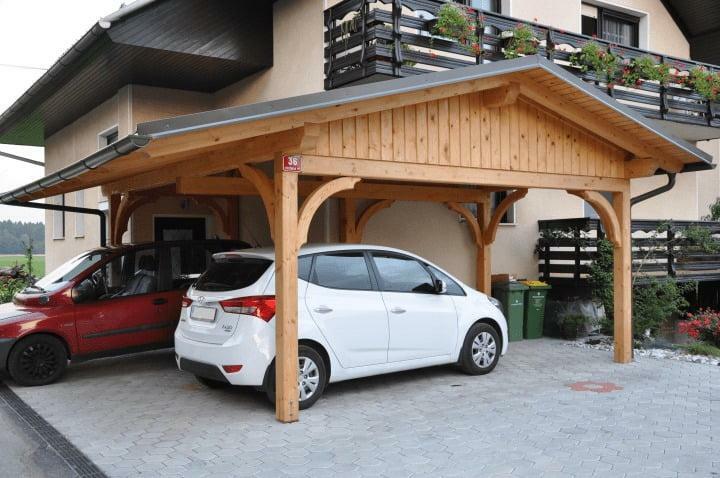 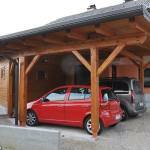 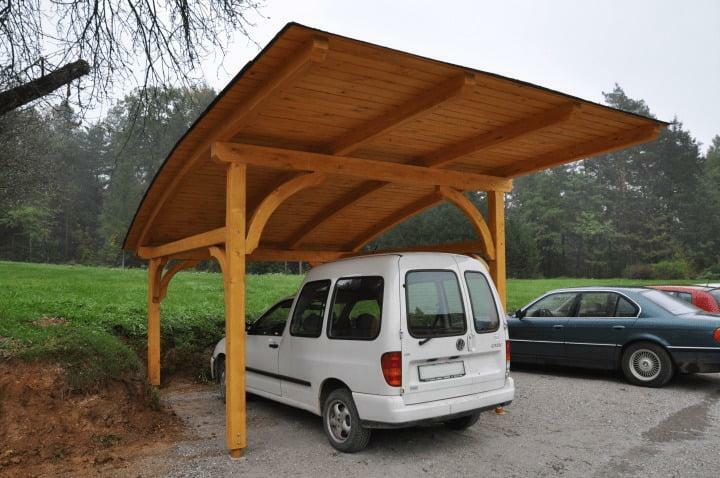 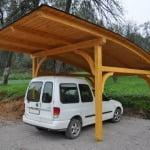 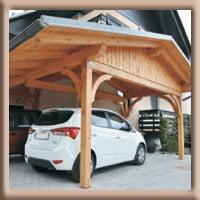 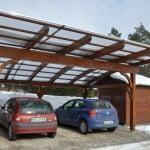 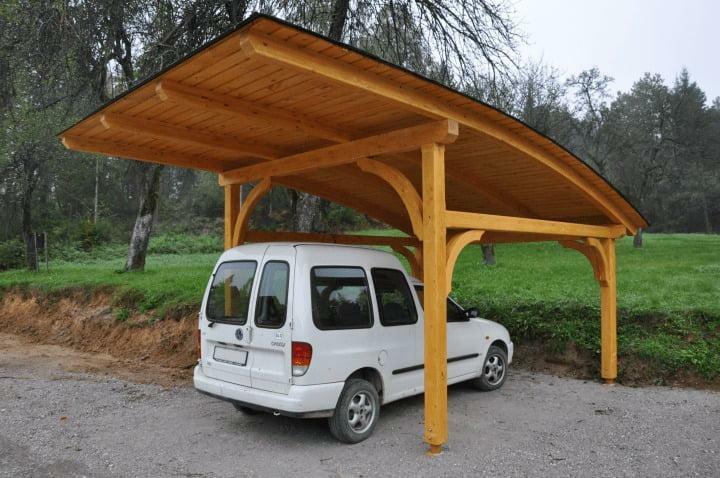 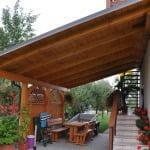 Canopies made of plywood are solely custom-made. 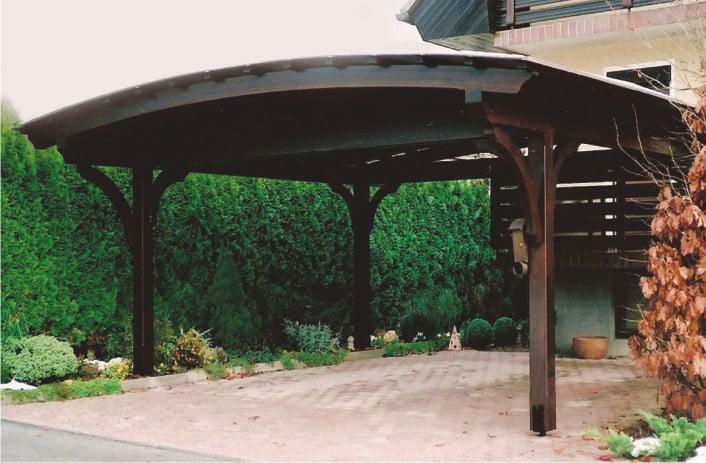 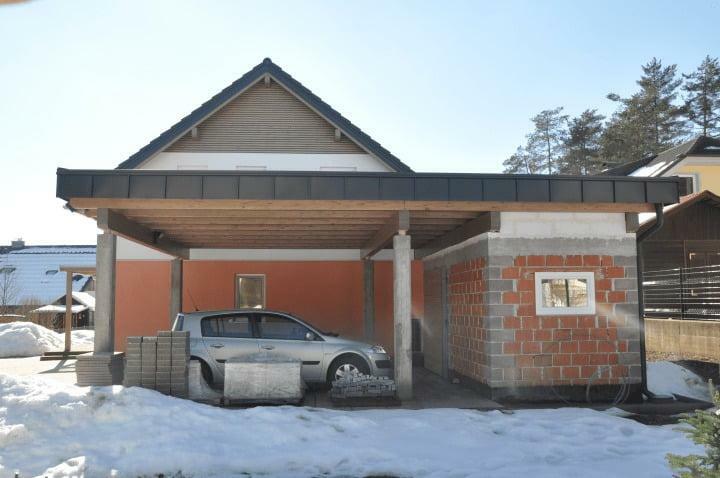 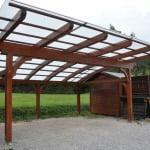 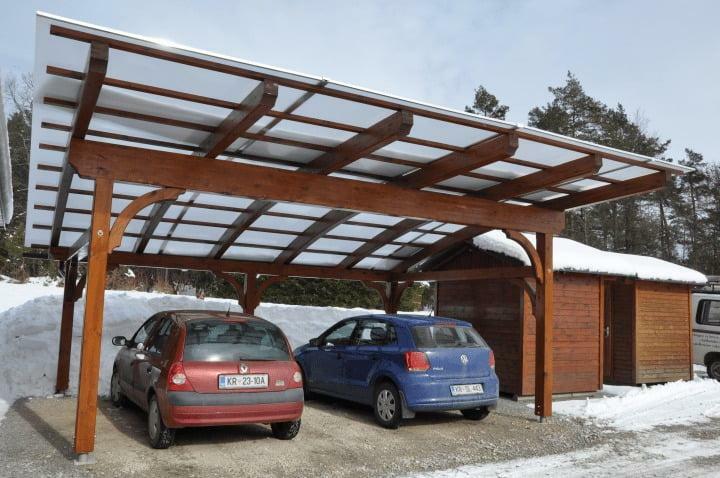 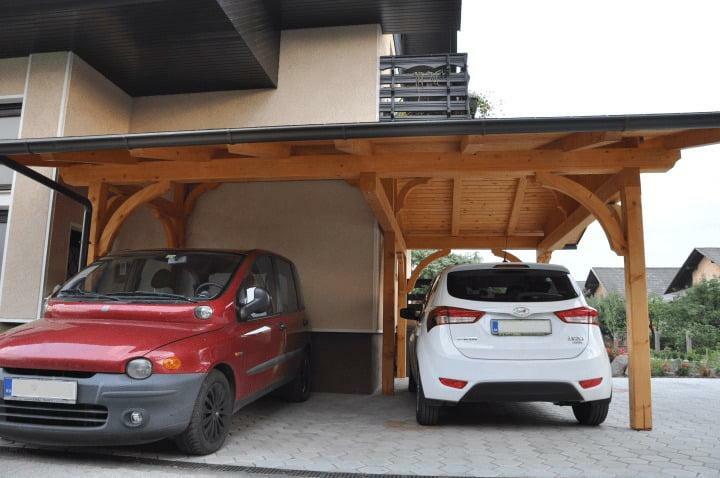 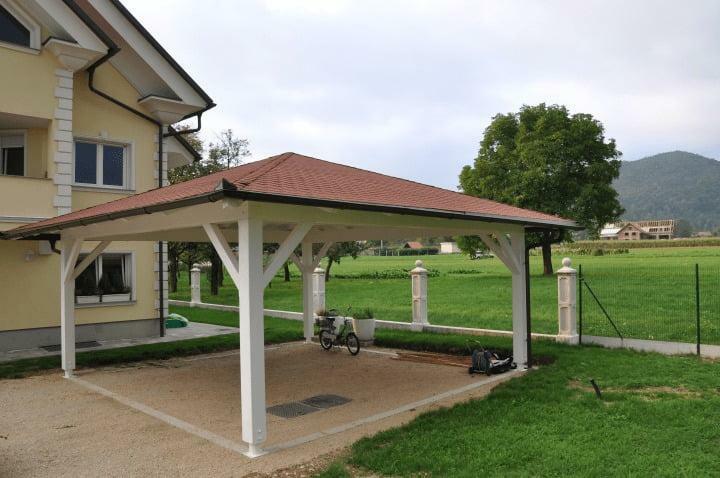 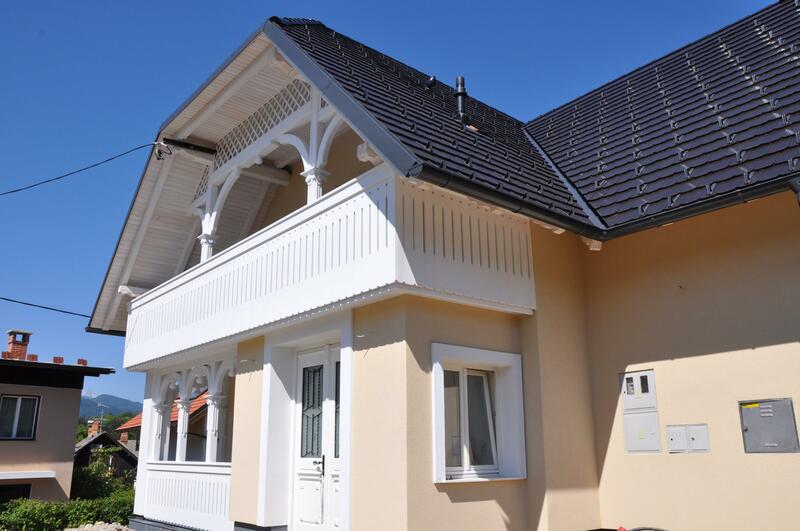 Different versions can be made: a single-pitched roof, a double-pitched roof, semicircular canopies etc. 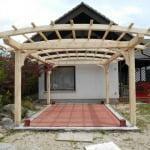 In order for us to prepare a pro forma invoice you must attach a sketch containing all the dimensions. 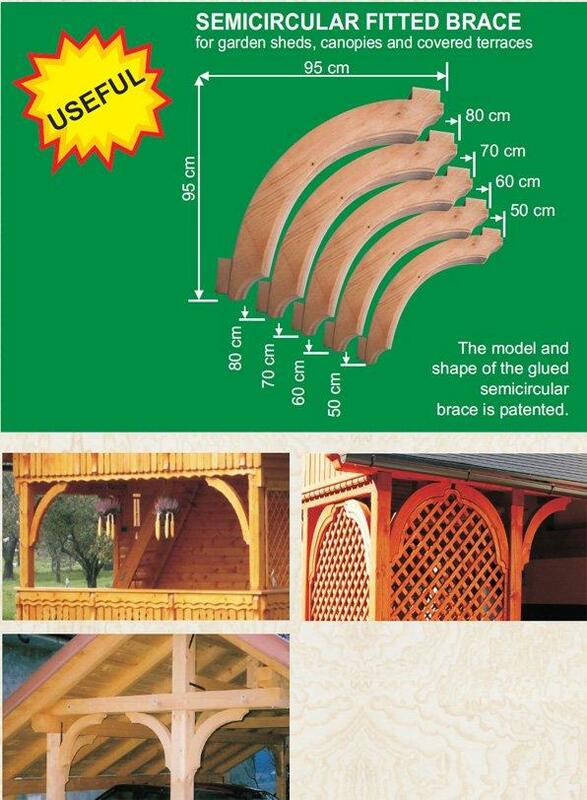 – throughout their useful life, glued brackets do not curve, bend etc. 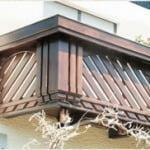 Glued brackets are made up of several lamellas, which are glued together lengthwise and flatwise. 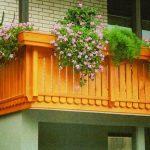 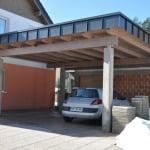 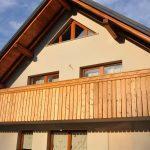 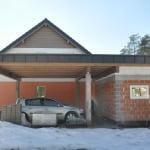 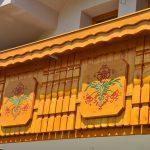 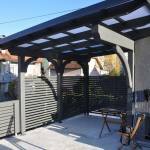 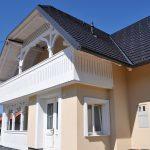 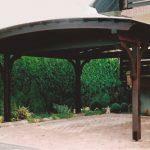 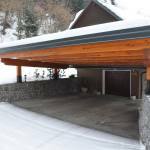 They can be used in visible locations to create a better external appearance. 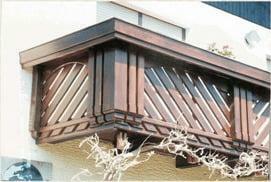 The brackets are glued with a polyurethane adhesive. 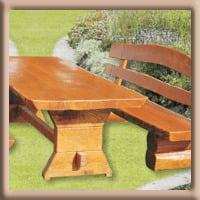 We manufacture garden furniture sets in several lengths: 1.5m, 1.8m, 2m and 2.5m. They are made of oak wood. 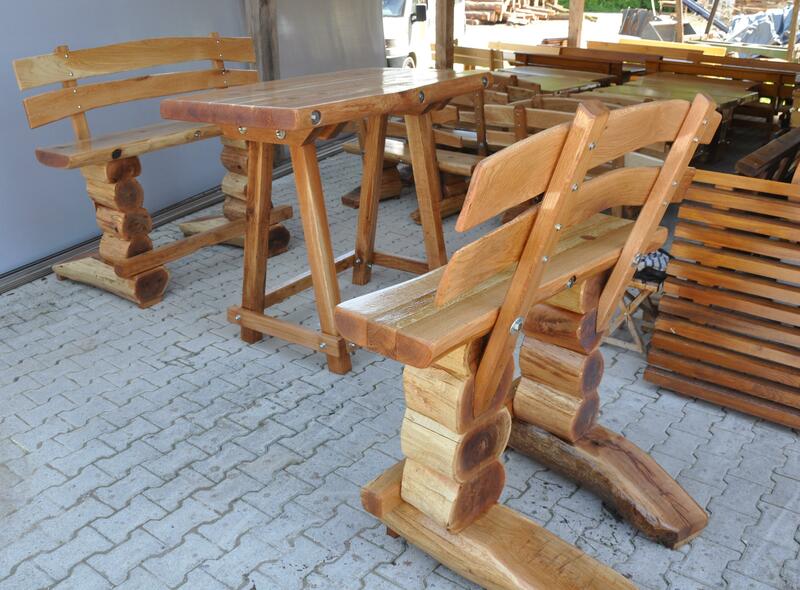 They are made of spruce wood. 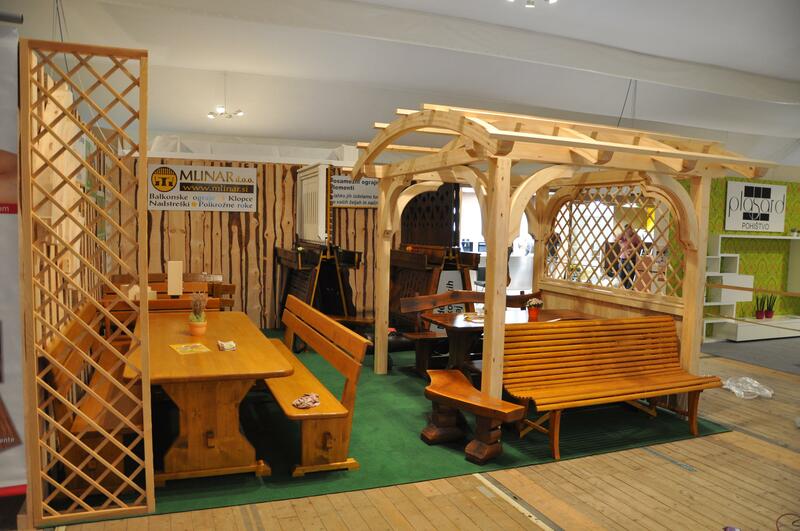 UNIQUE OAK BENCHES of various shapes and lengths. 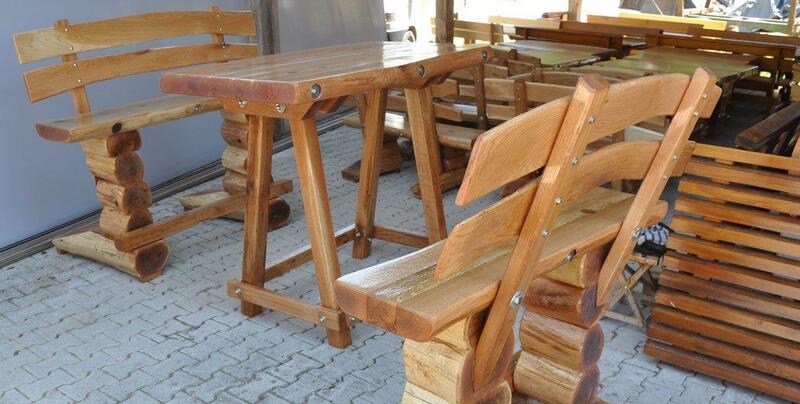 individualelements to those who make their own garden furniture. 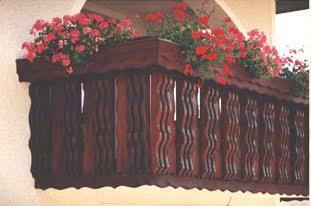 throughout their useful life, glued brackets do not curve, bend etc. 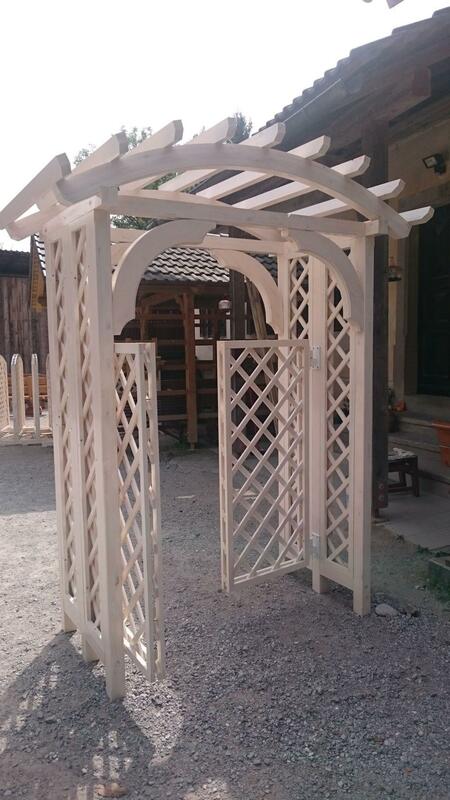 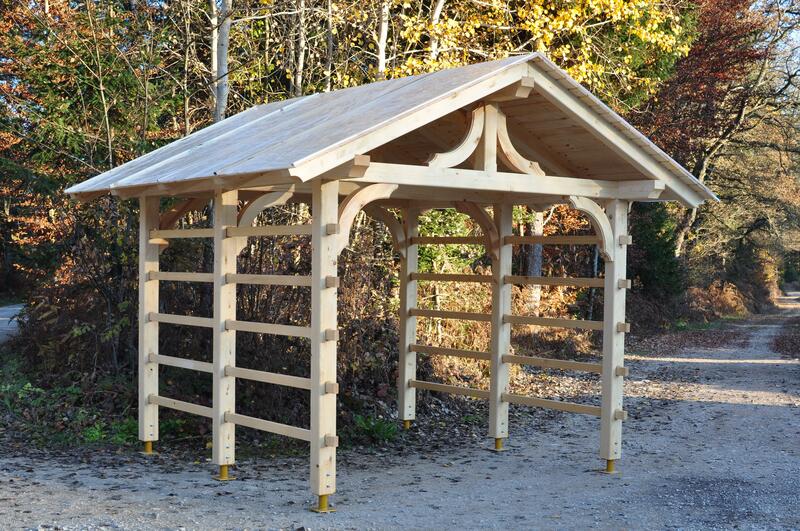 We produce plywood hayracks according to customers wishes and specifications.